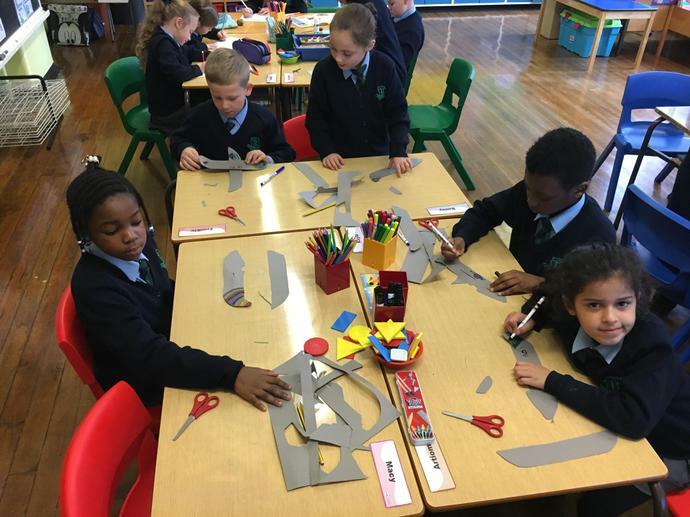 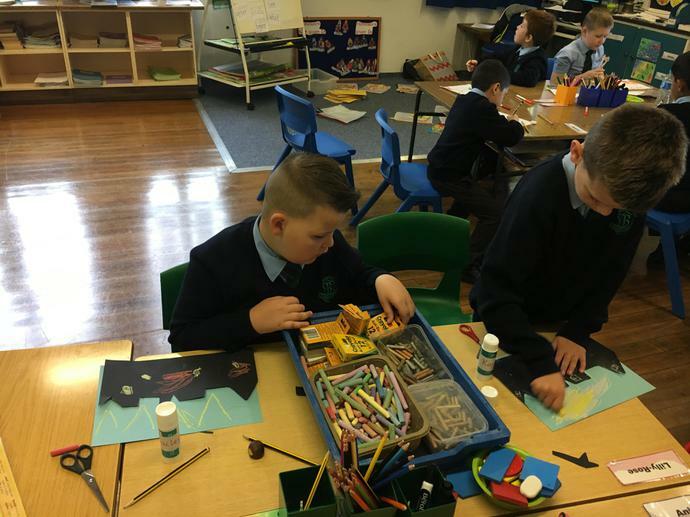 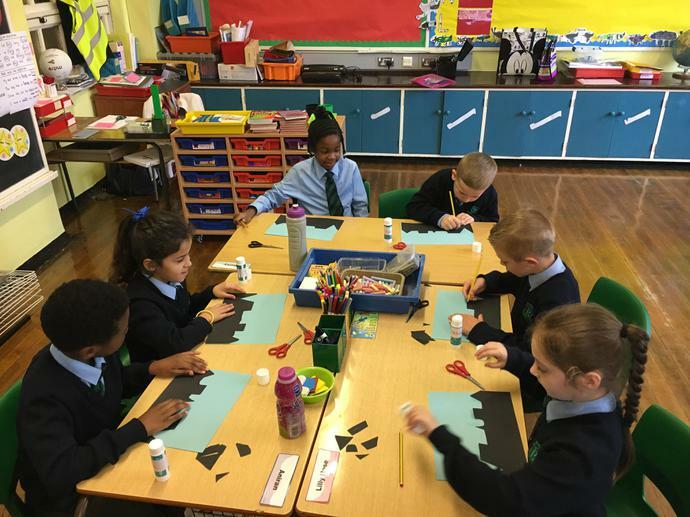 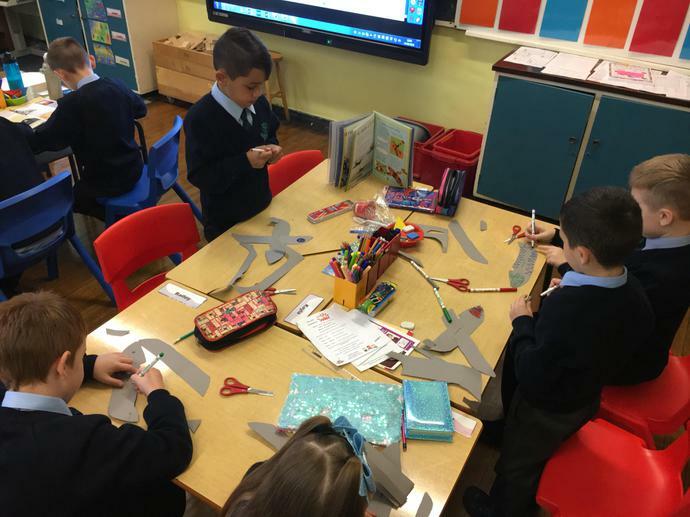 P4 are enjoying their new topic 'Castles'. 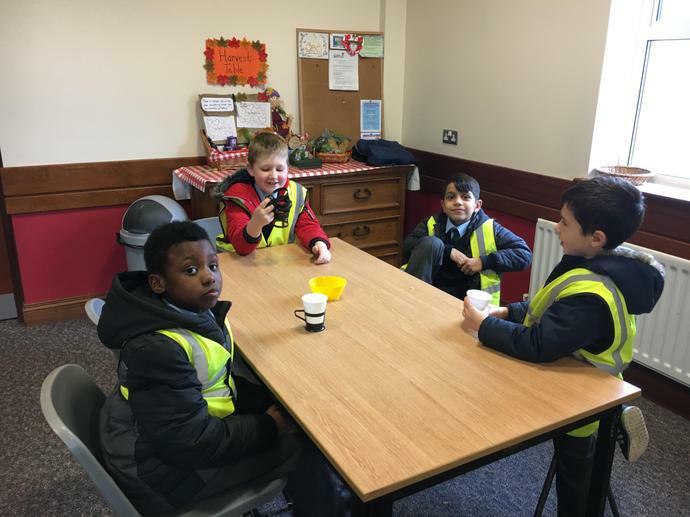 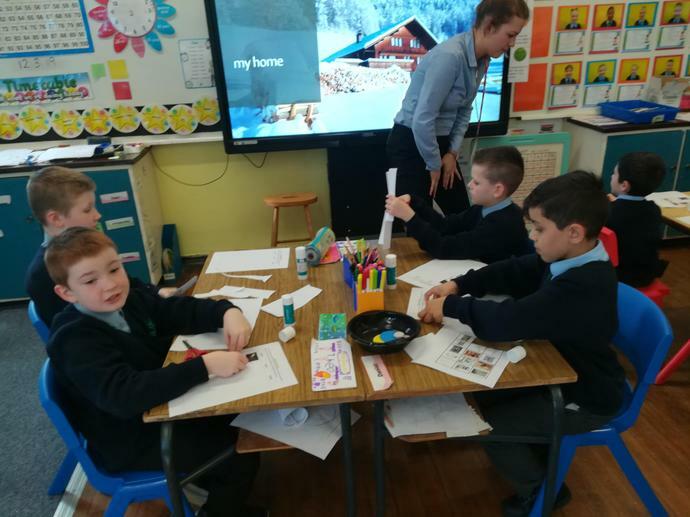 Our student from Switzerland has been teaching them about the differences and similarities between castles and modern day homes. 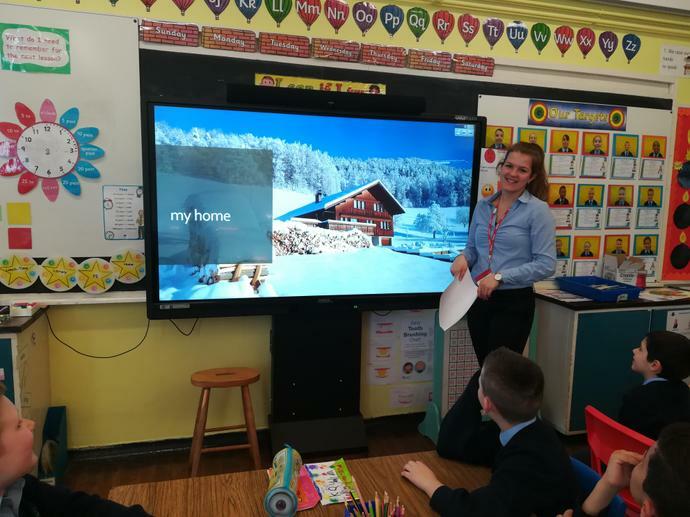 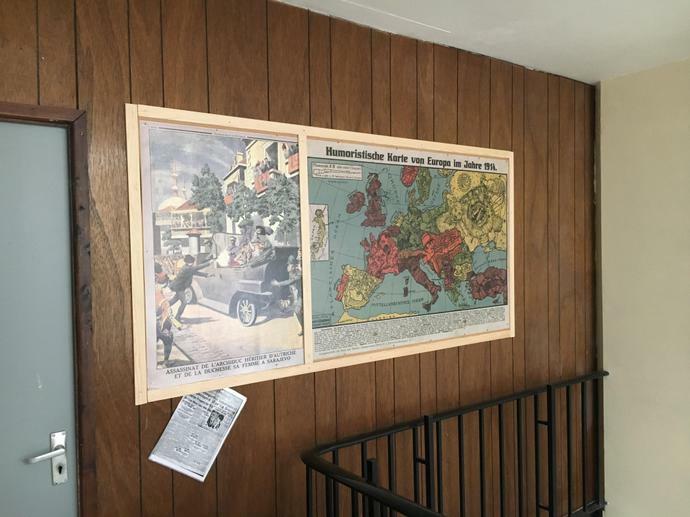 They were amazed to see a beautiful photo of Miss Kogler's own home in Switzerland!. 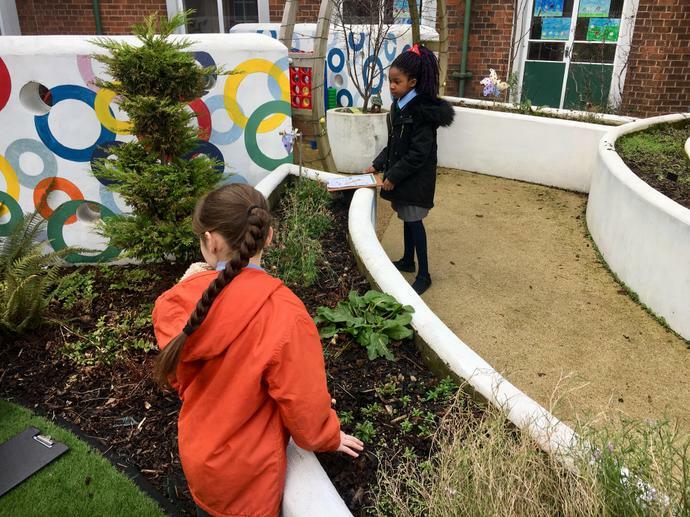 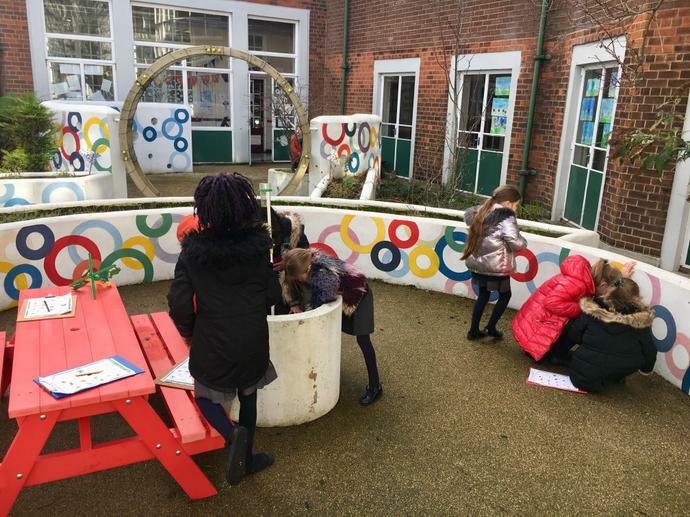 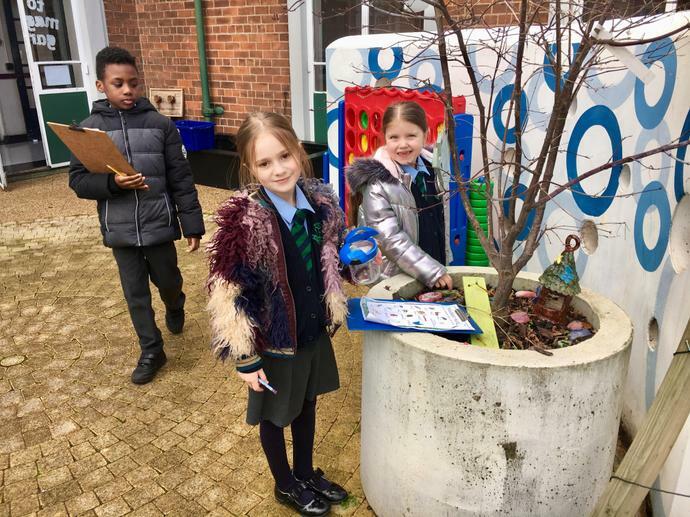 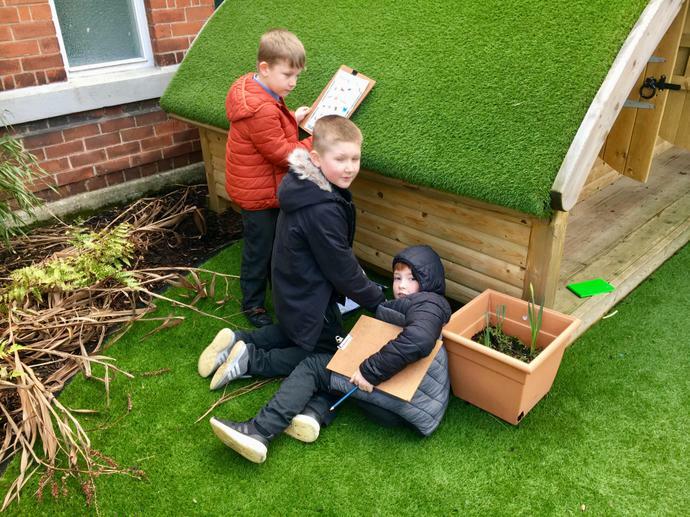 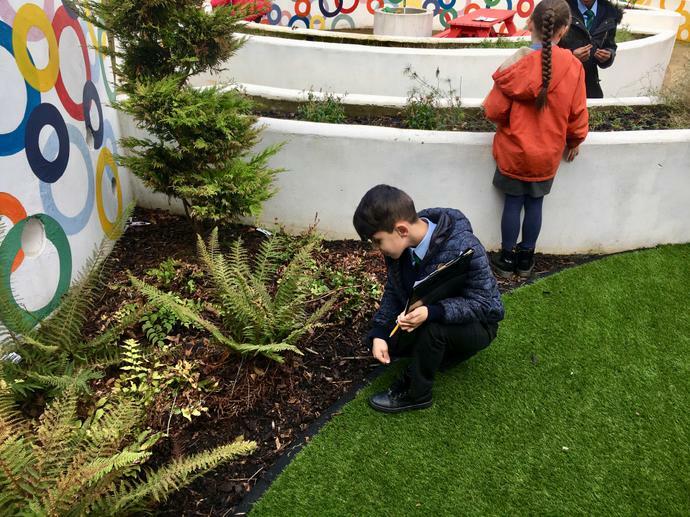 P4 getting their hands dirty searching for minibeasts around a beautiful school garden. 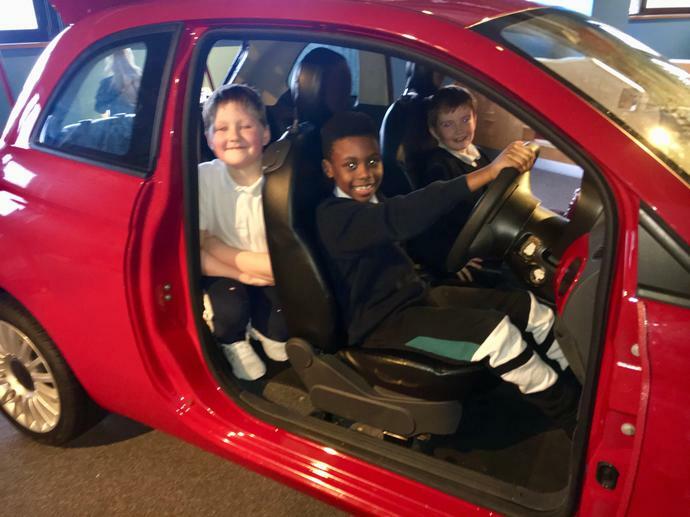 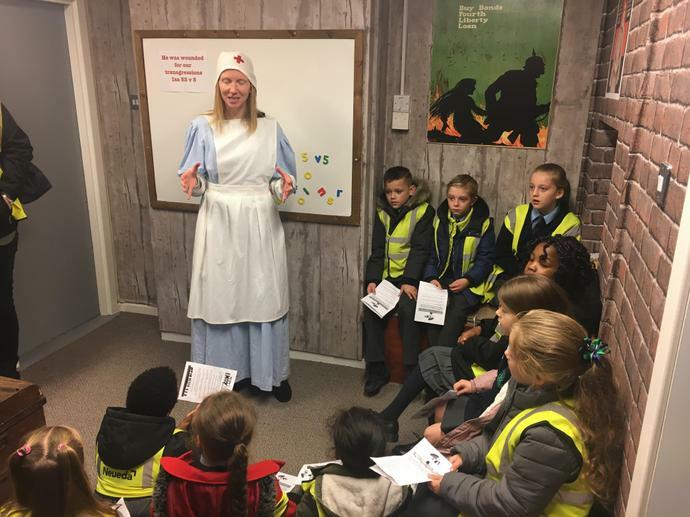 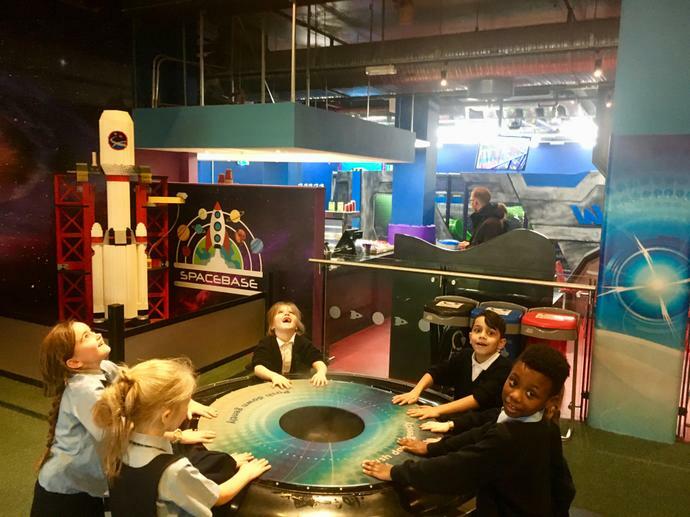 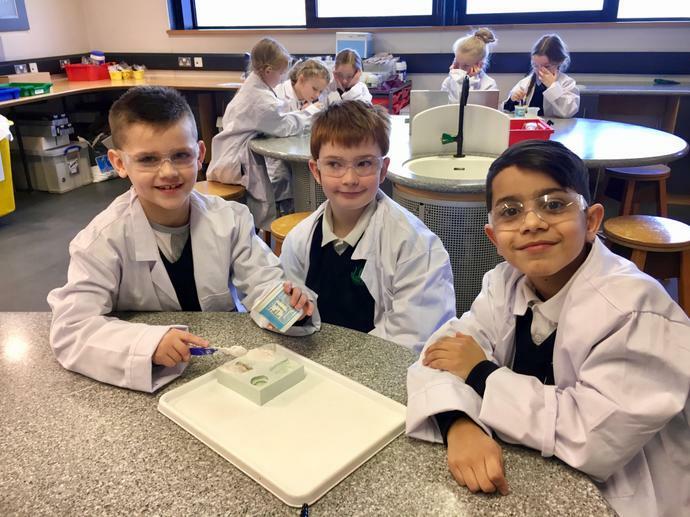 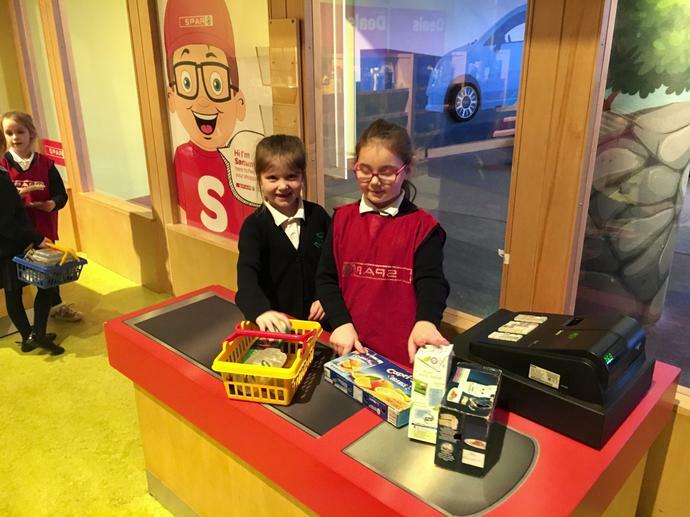 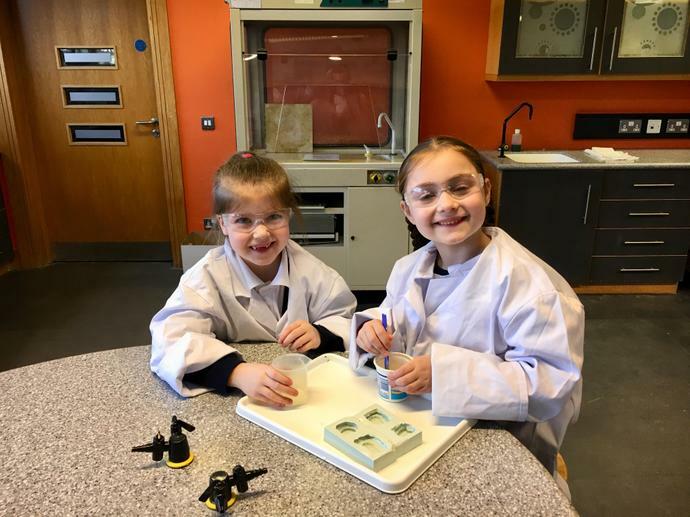 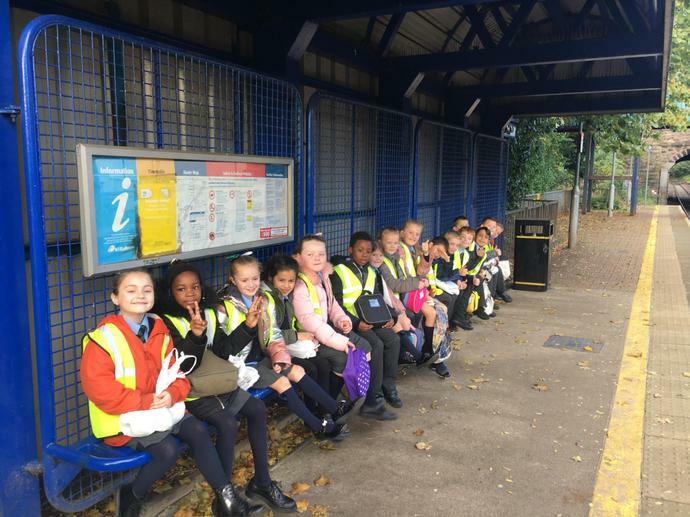 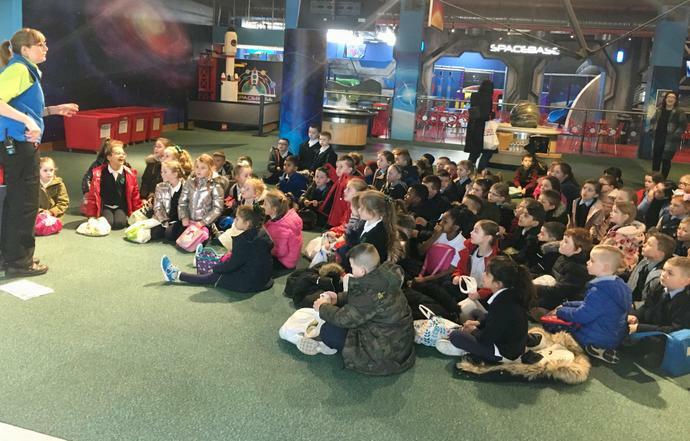 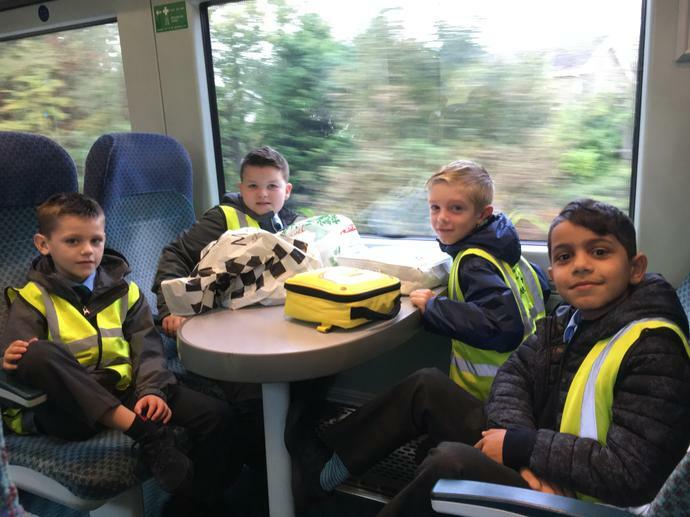 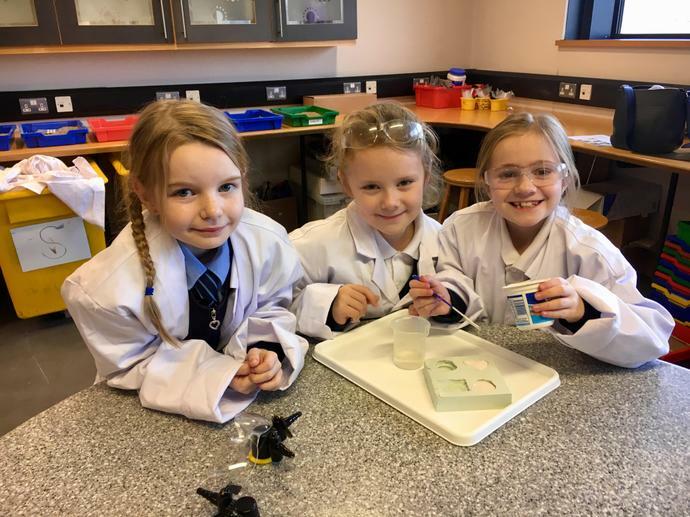 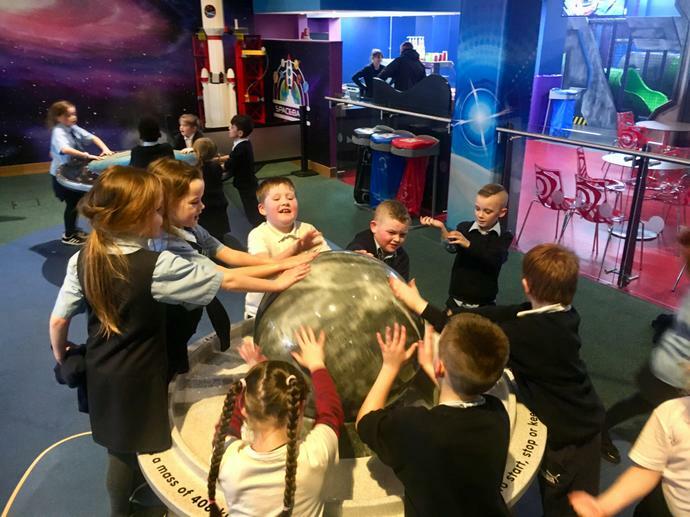 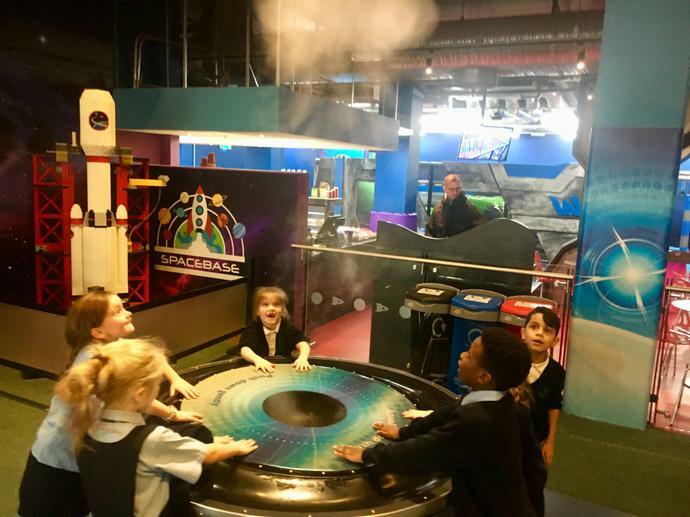 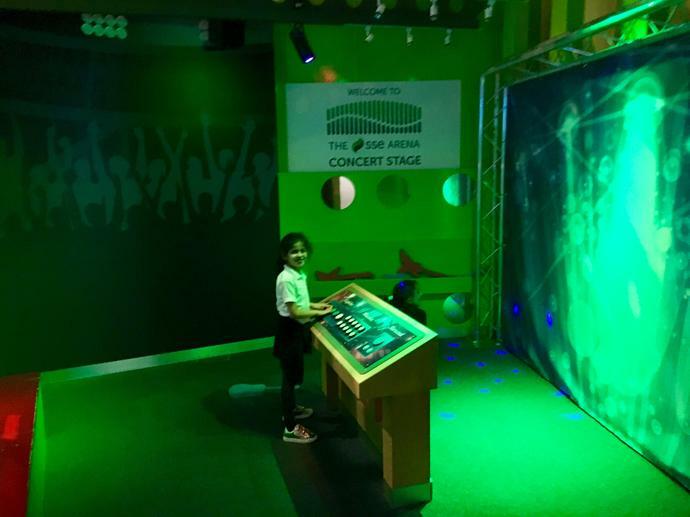 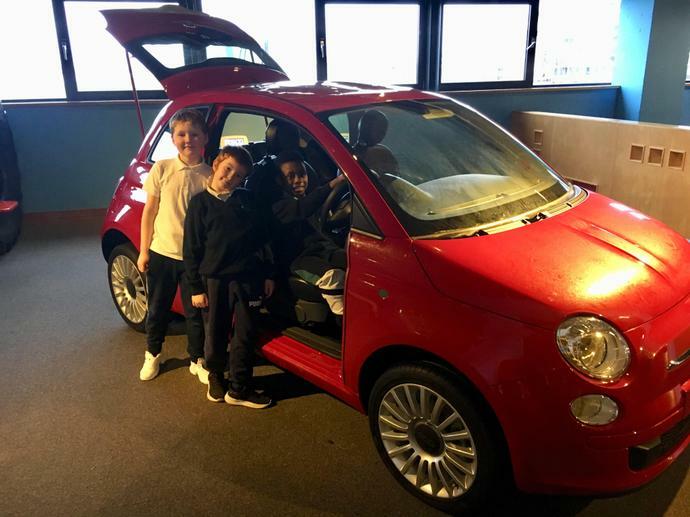 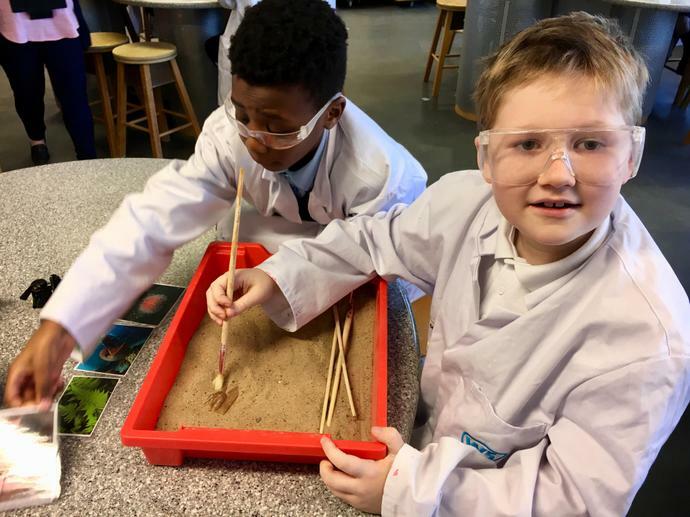 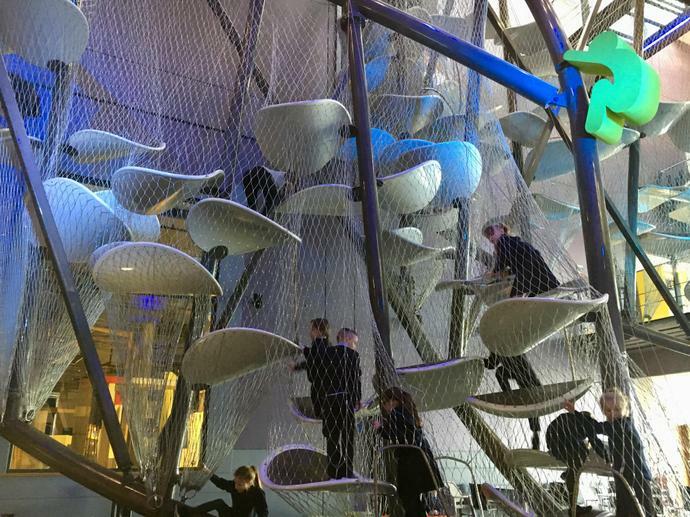 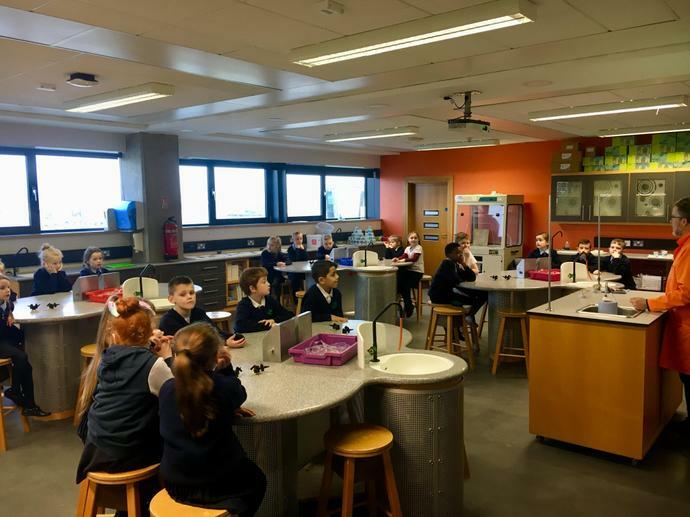 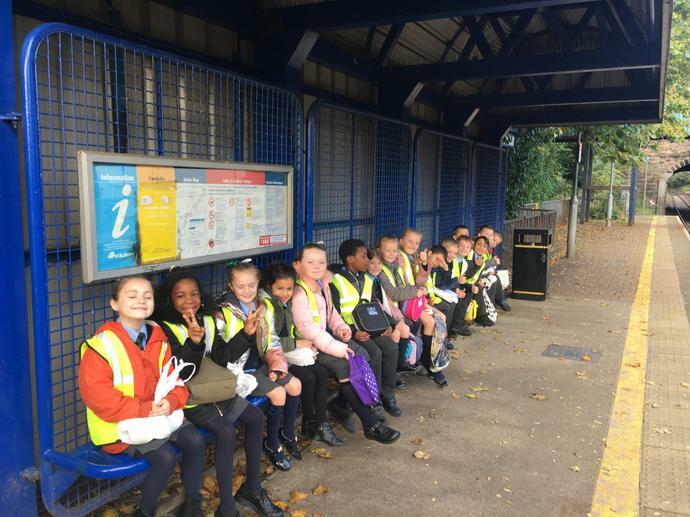 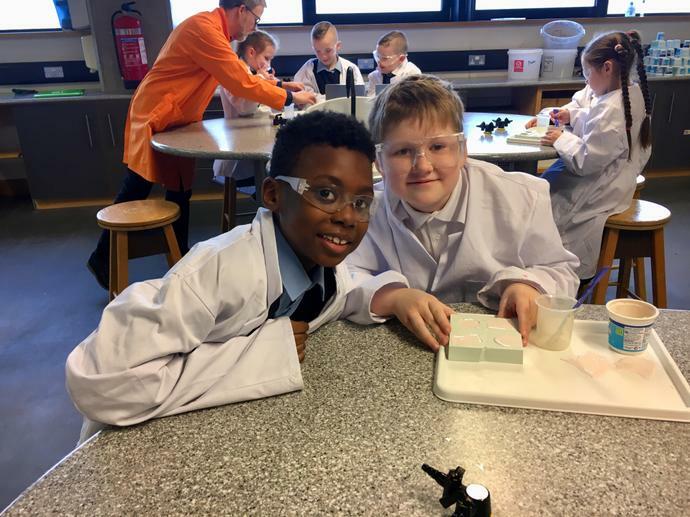 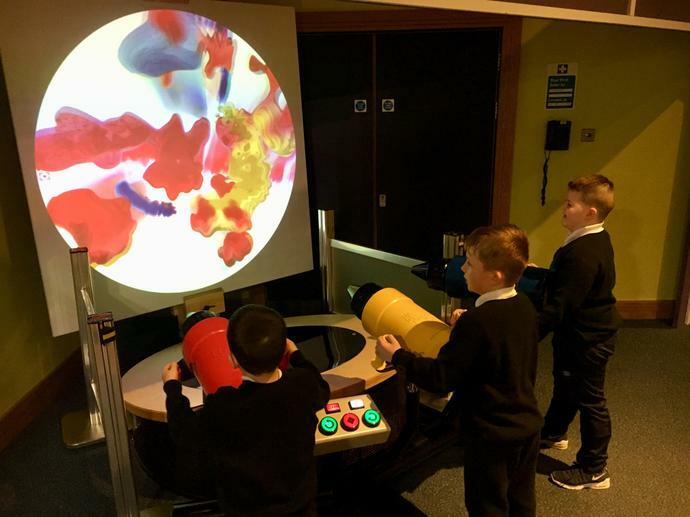 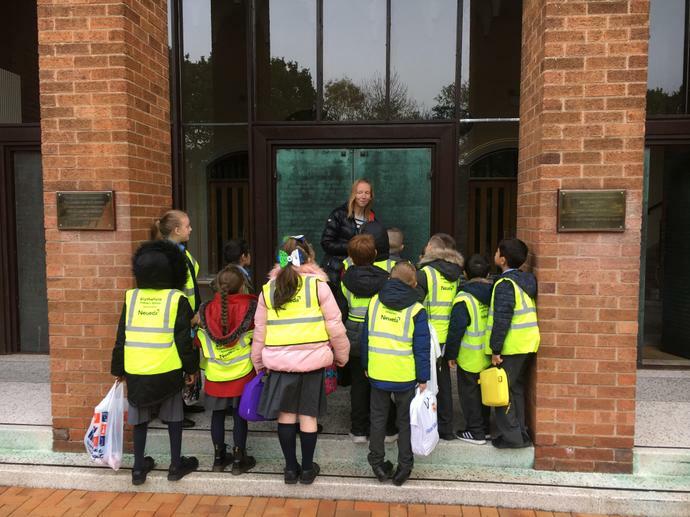 P4 enjoyed a brilliant educational learning trip to W5. 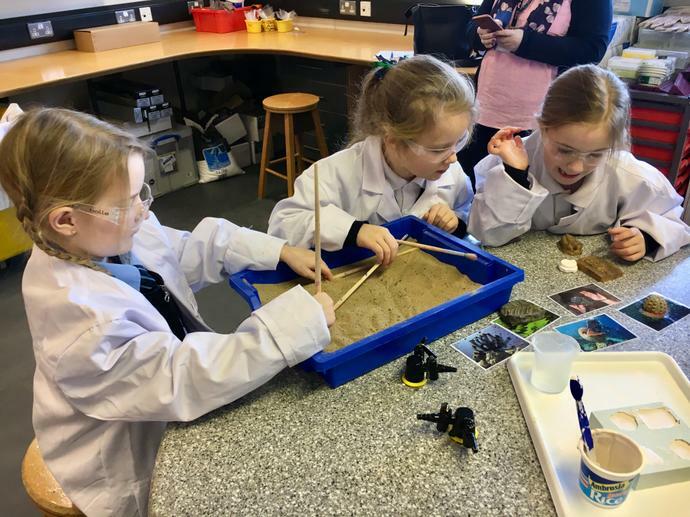 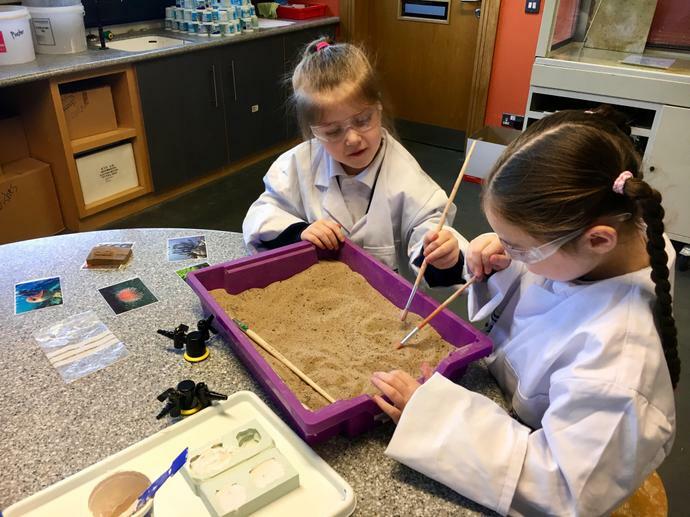 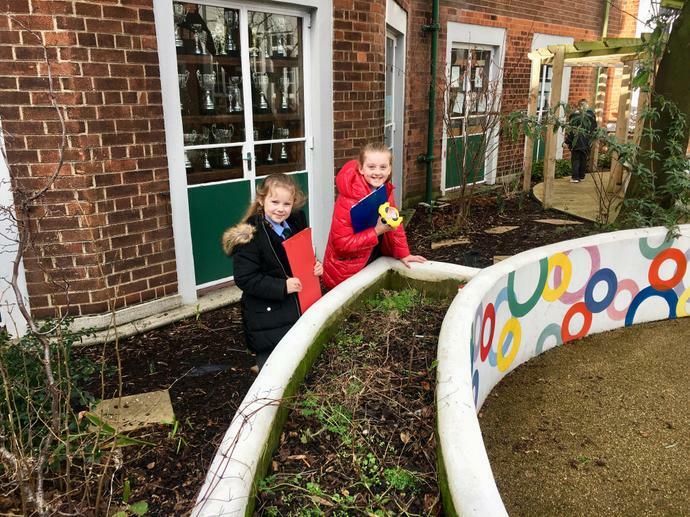 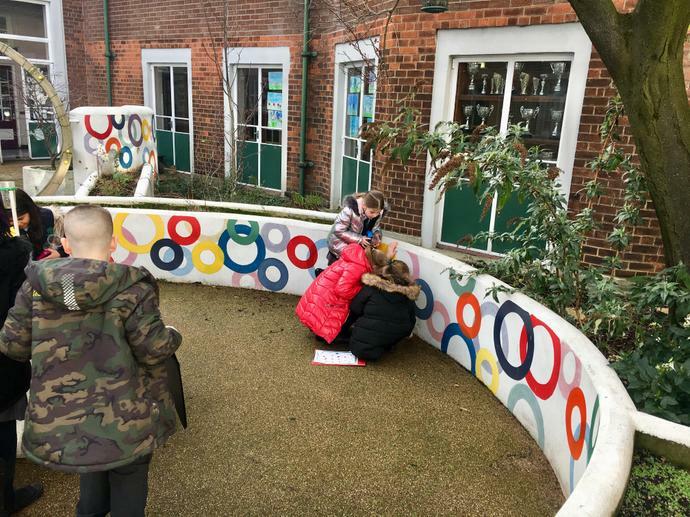 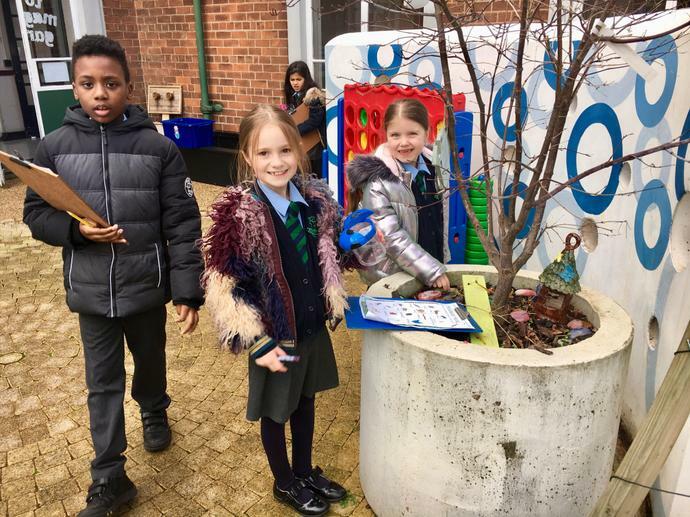 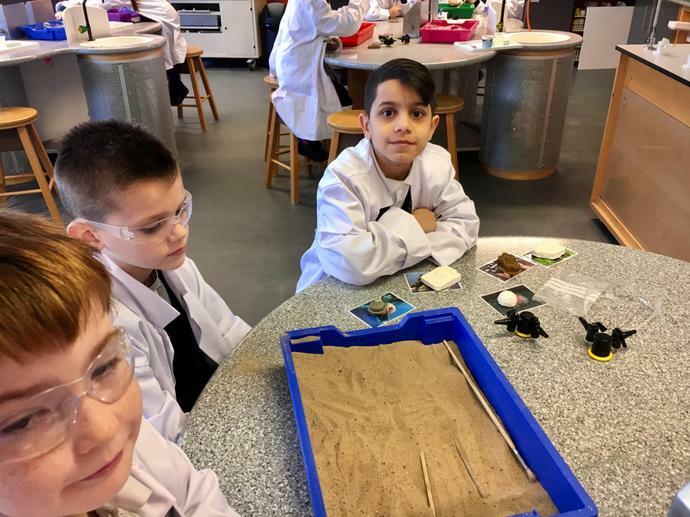 Fossil finders and creators was just one of the learning areas which they all loved. 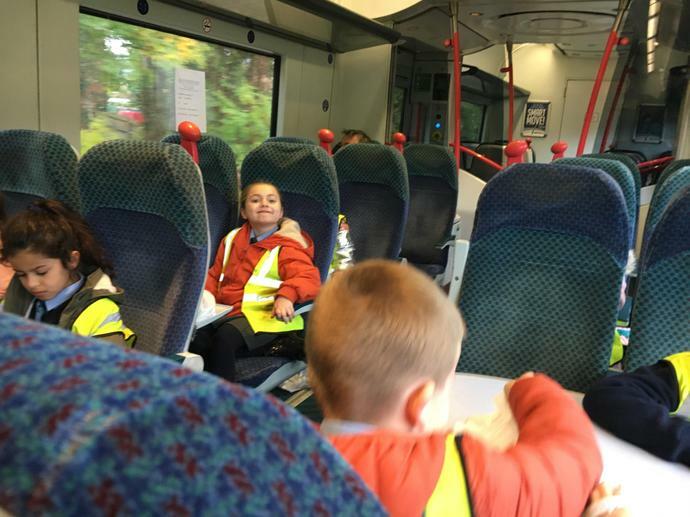 They had a lot of fun during a shared eduction programme with Good Shepard Primary school. 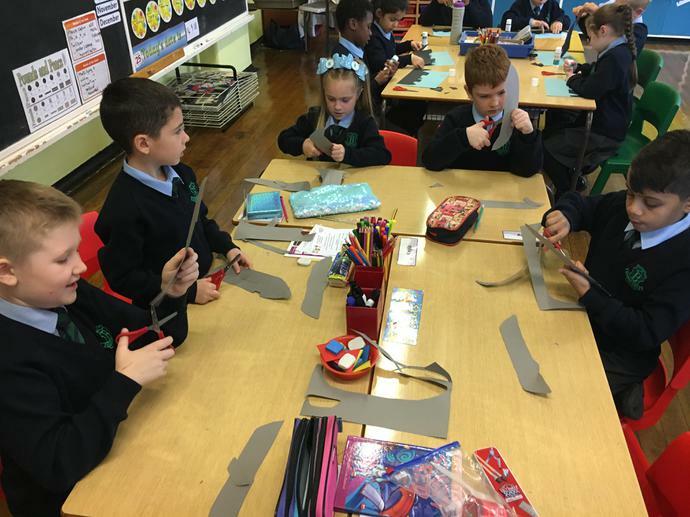 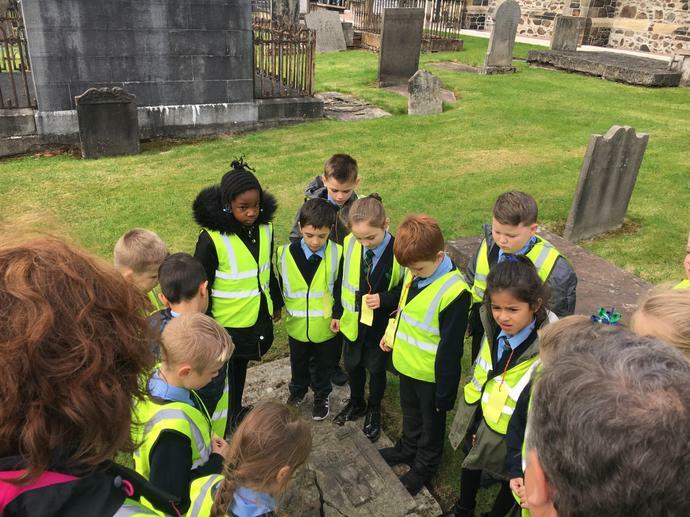 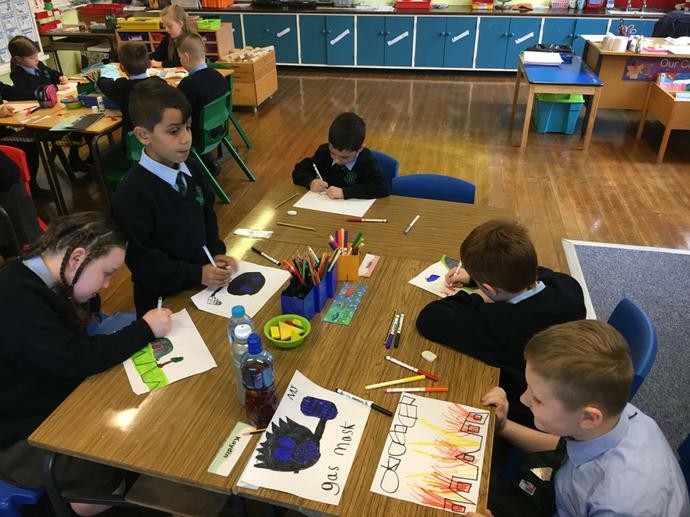 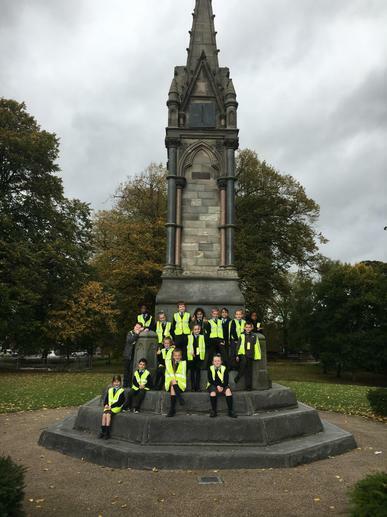 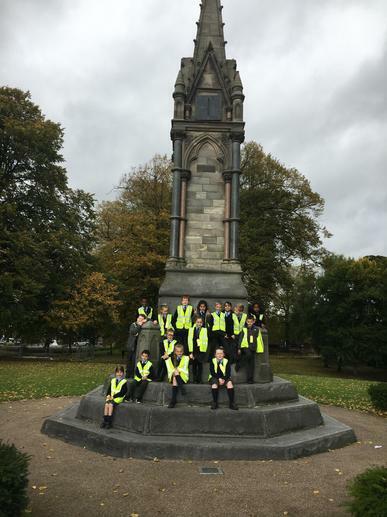 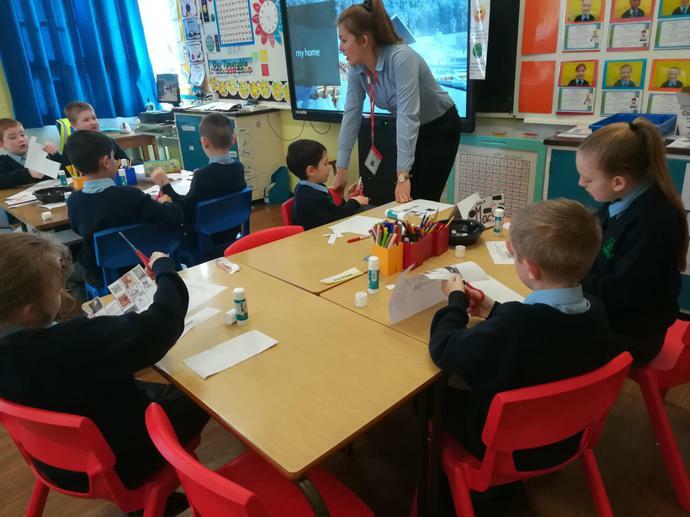 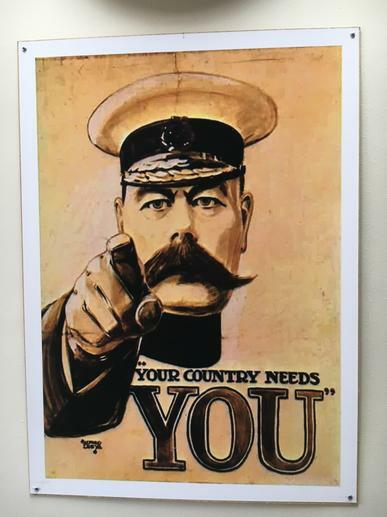 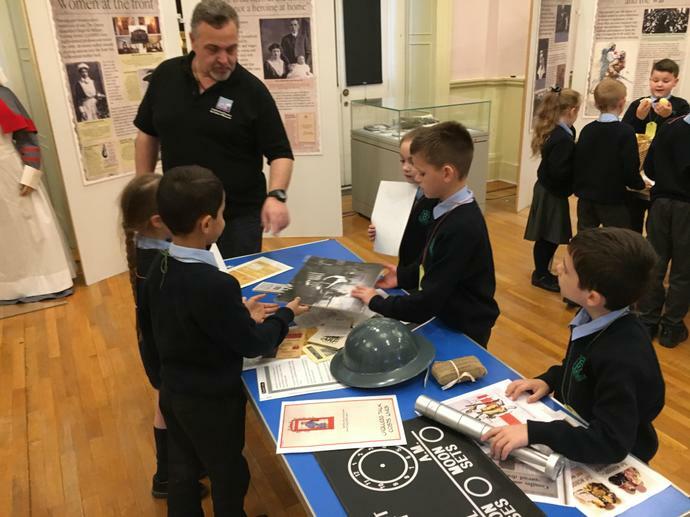 P4 got to learn about World War 1 with the Path to Peace workshop. 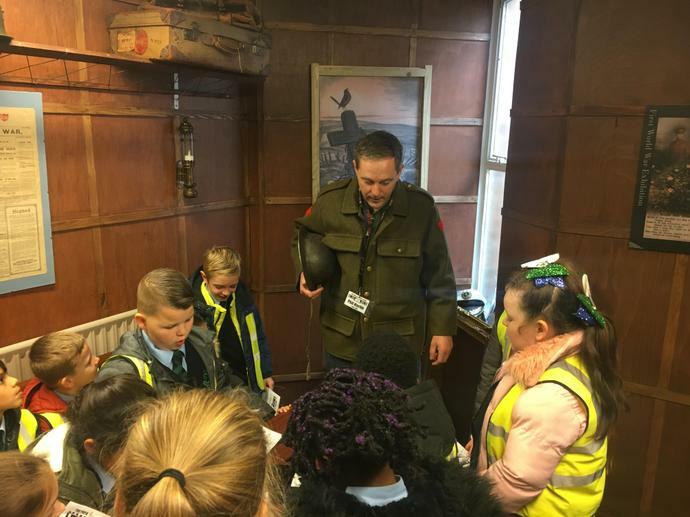 The children loved to hear stories, dress up and act as military. 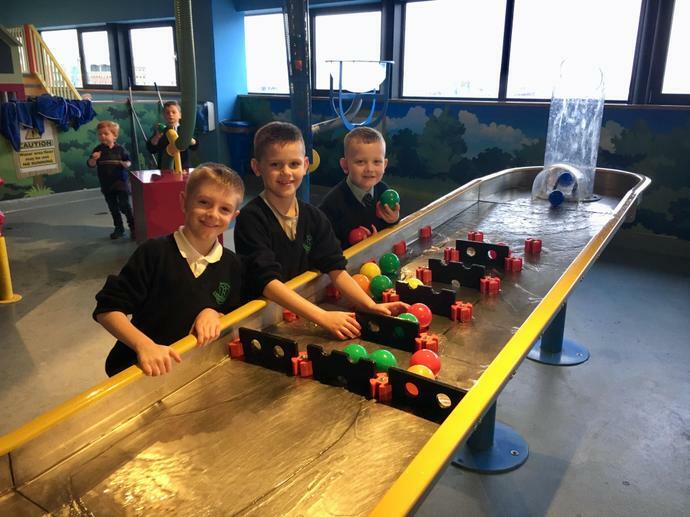 Lots of fun had along with lots of learning. 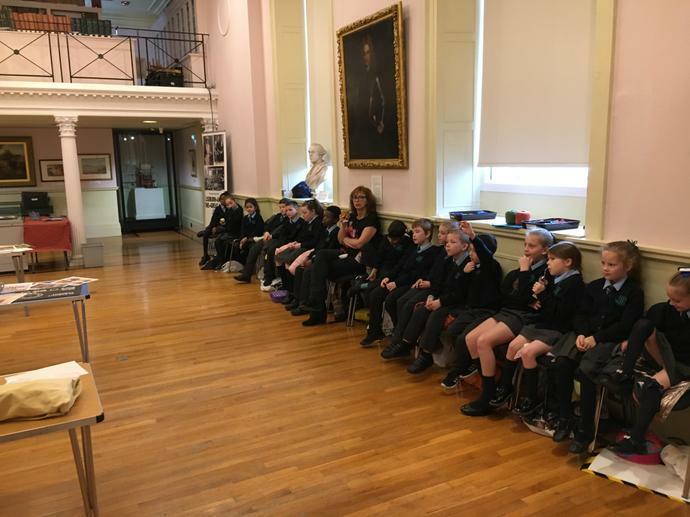 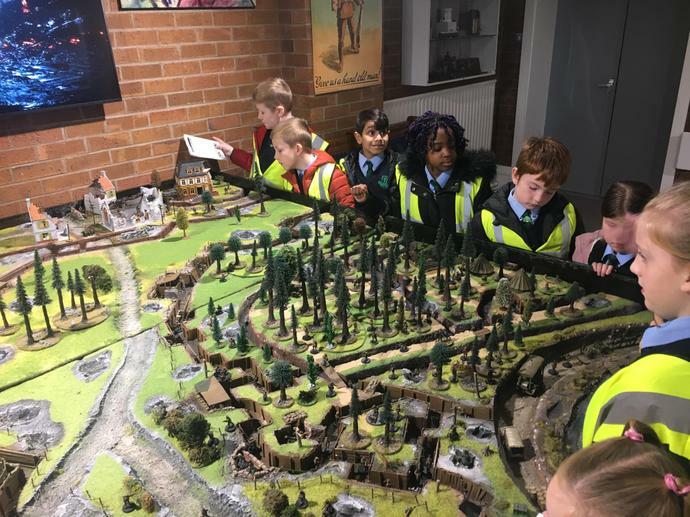 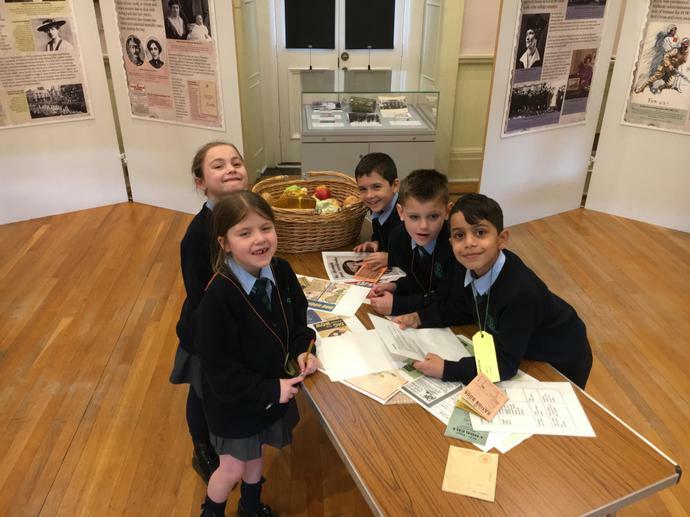 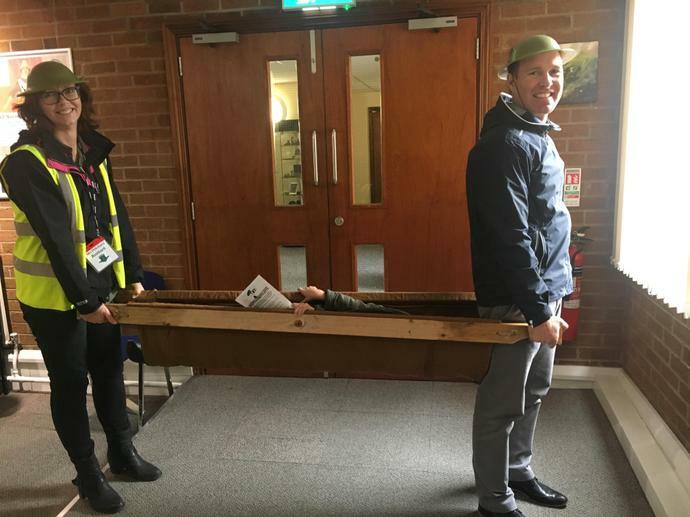 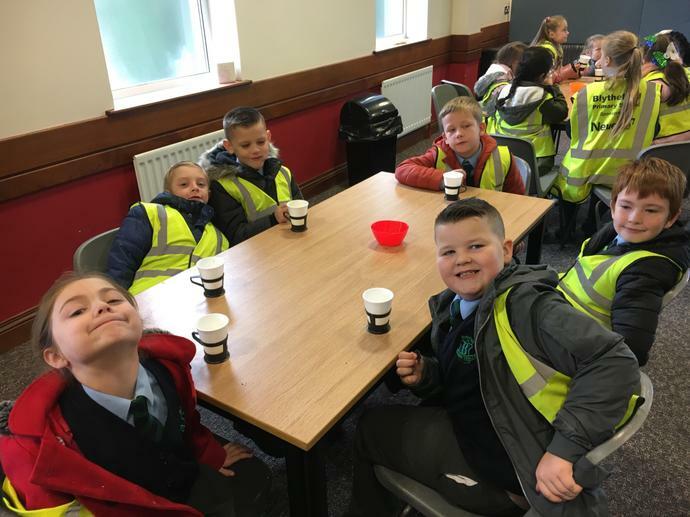 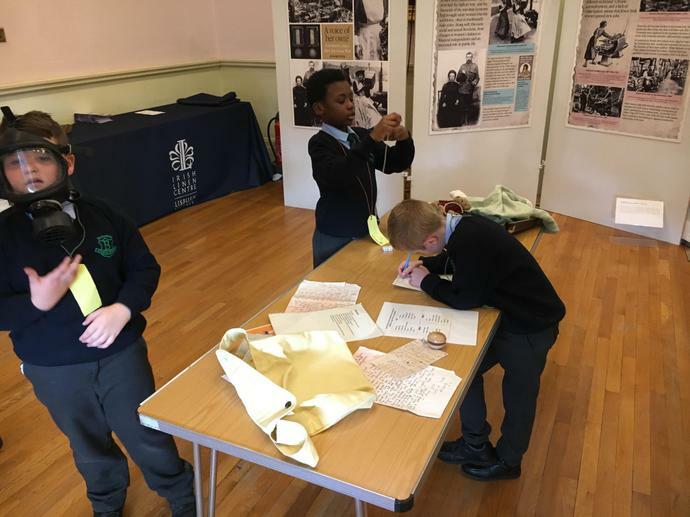 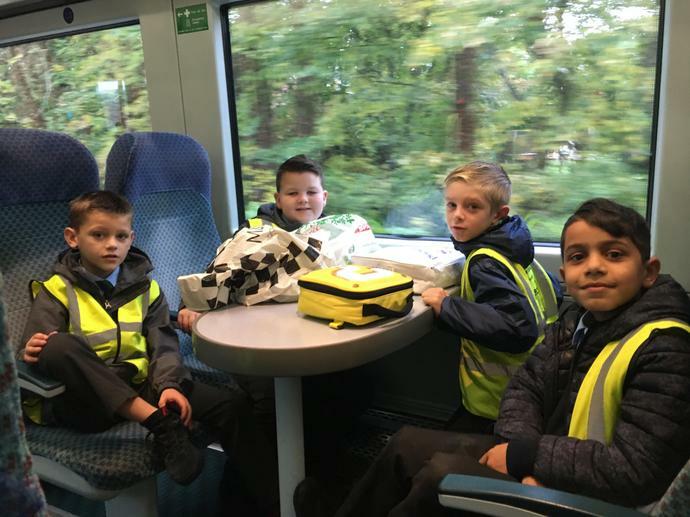 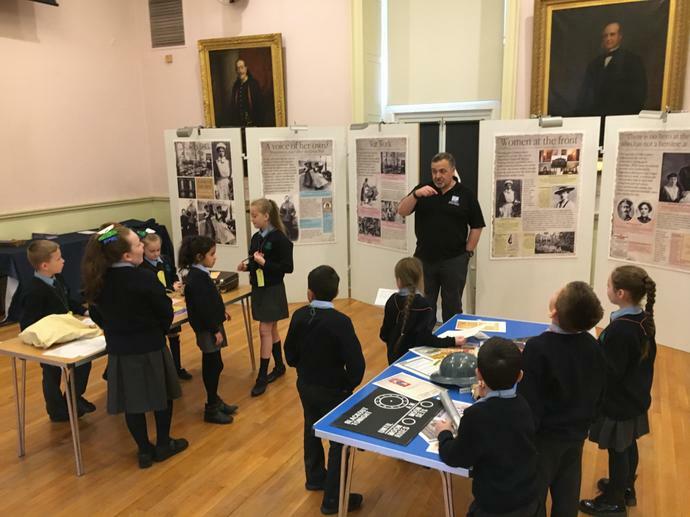 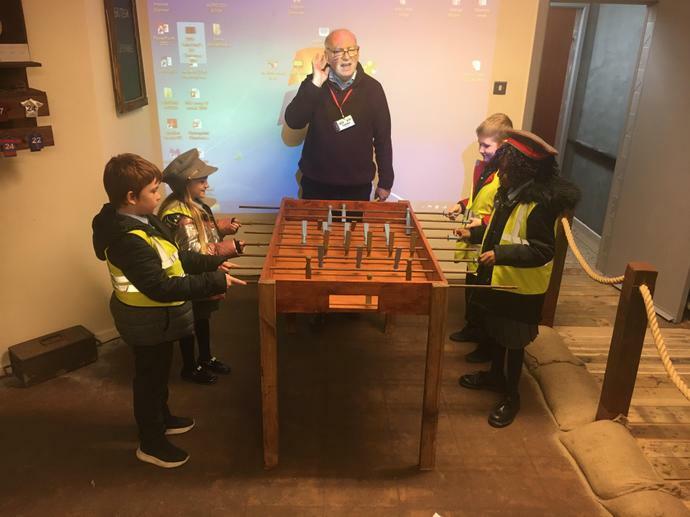 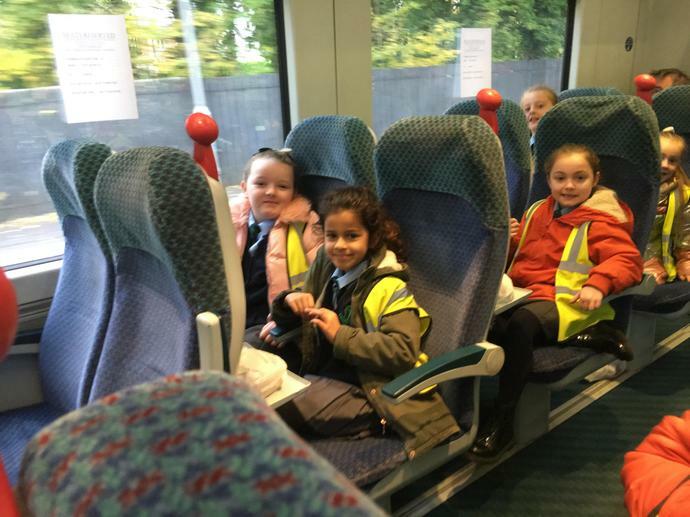 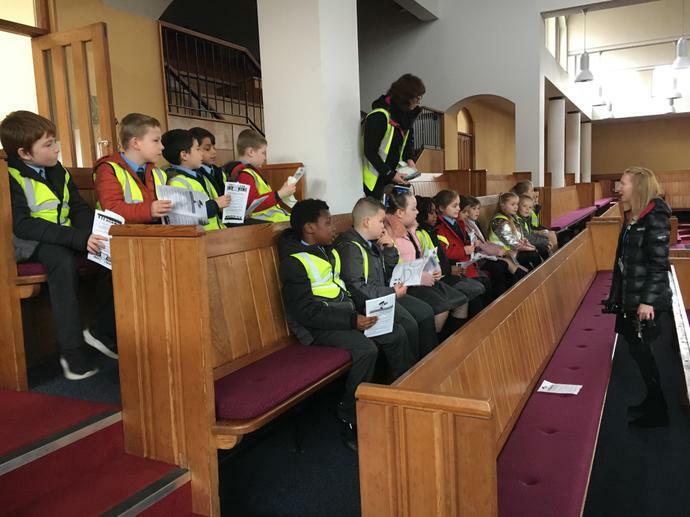 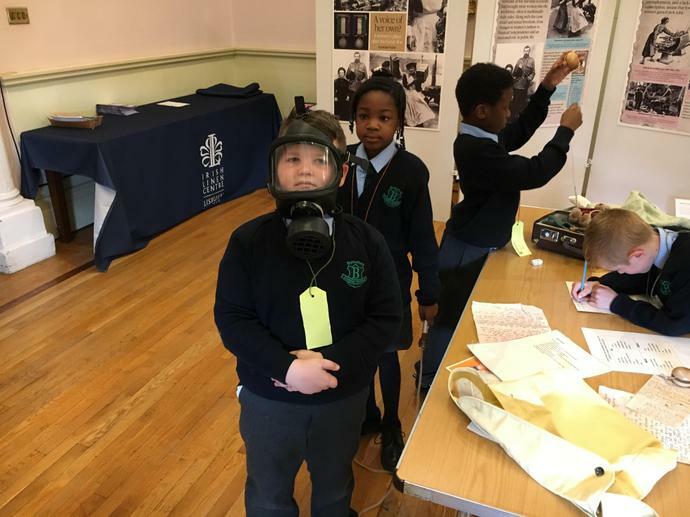 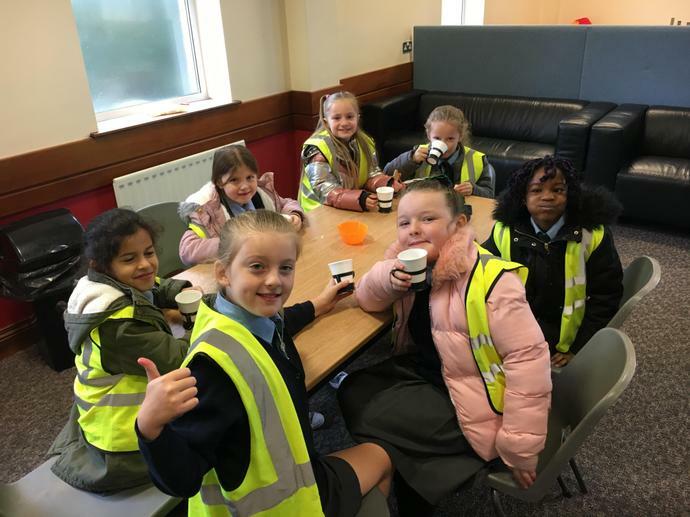 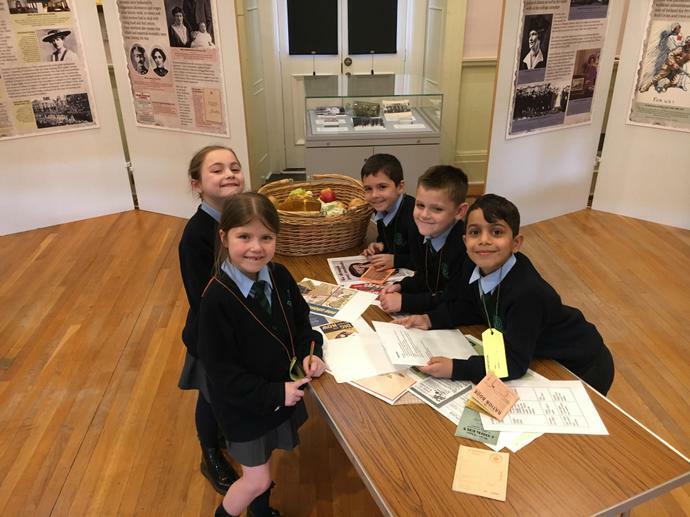 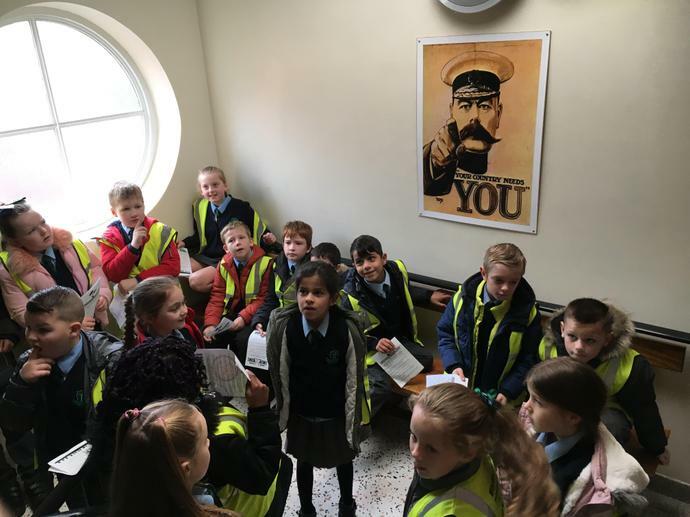 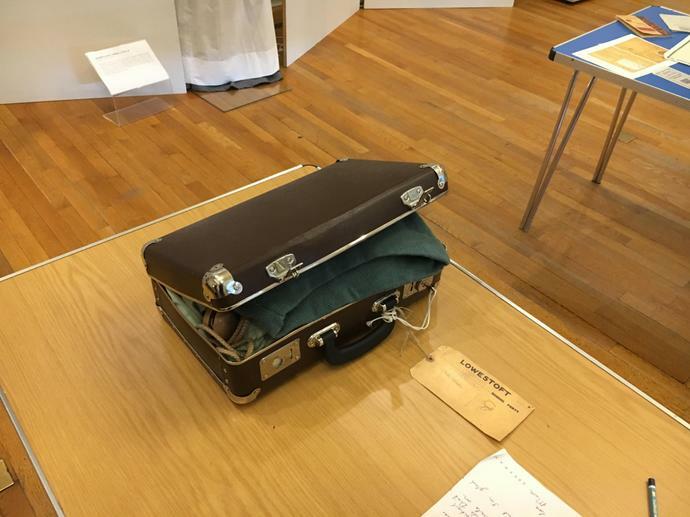 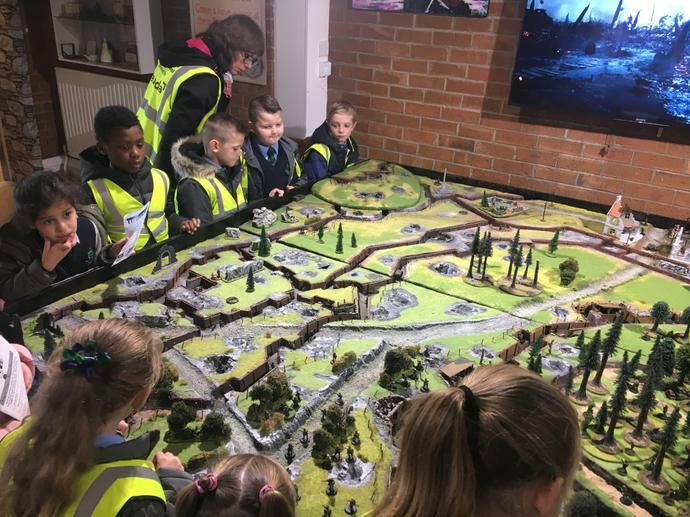 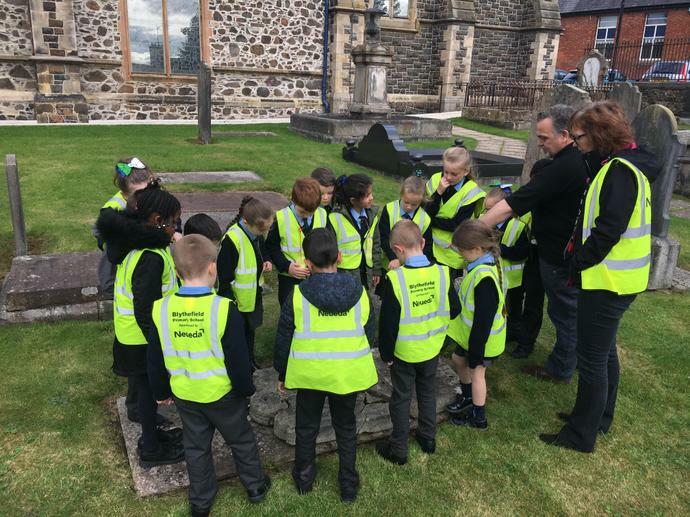 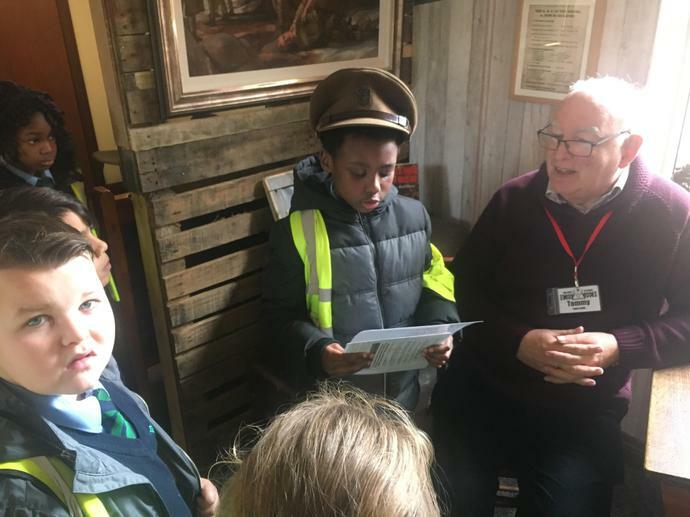 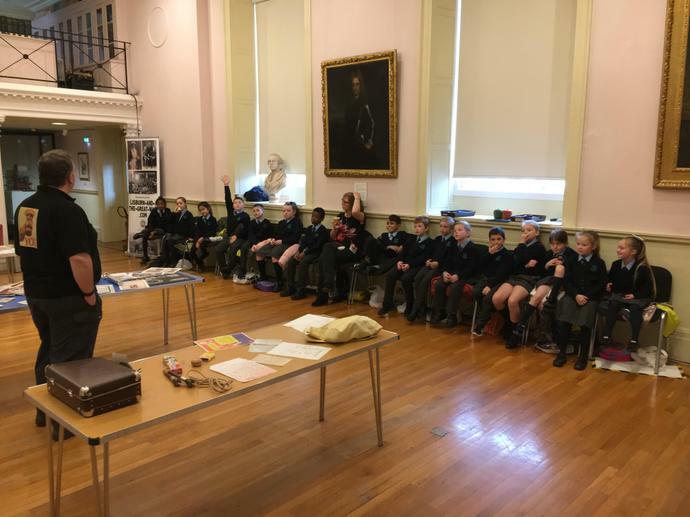 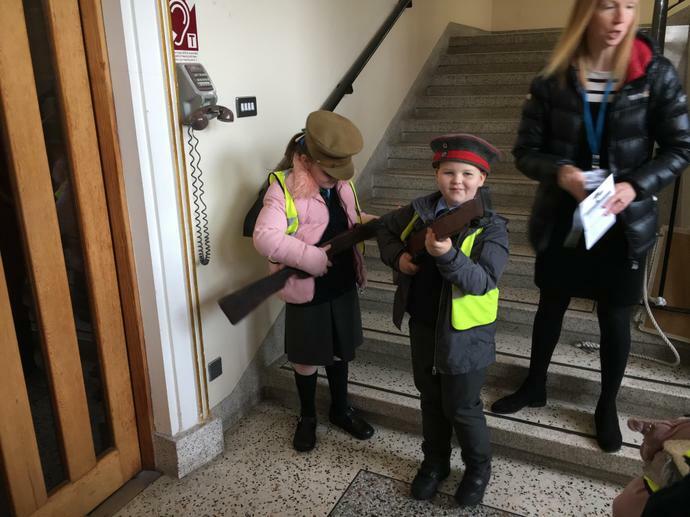 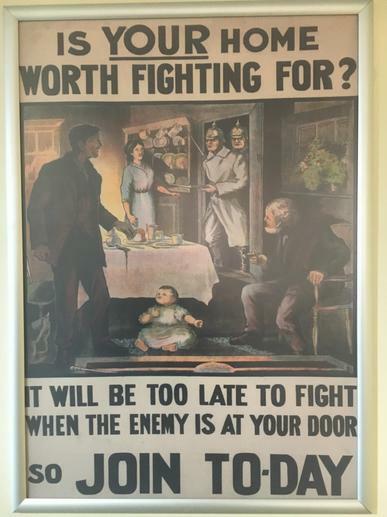 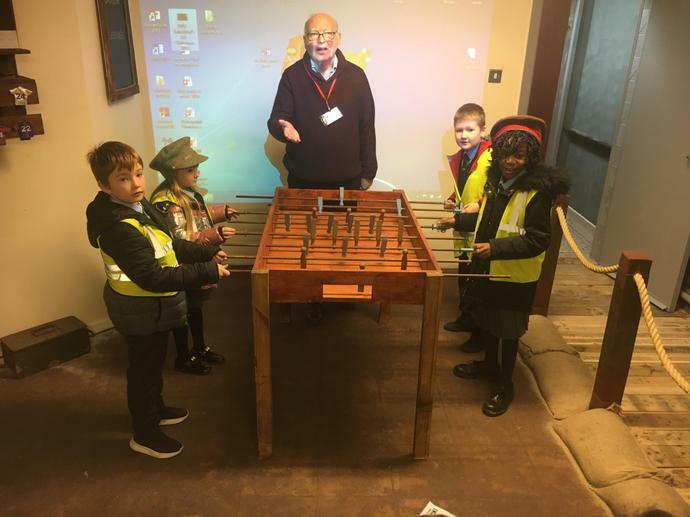 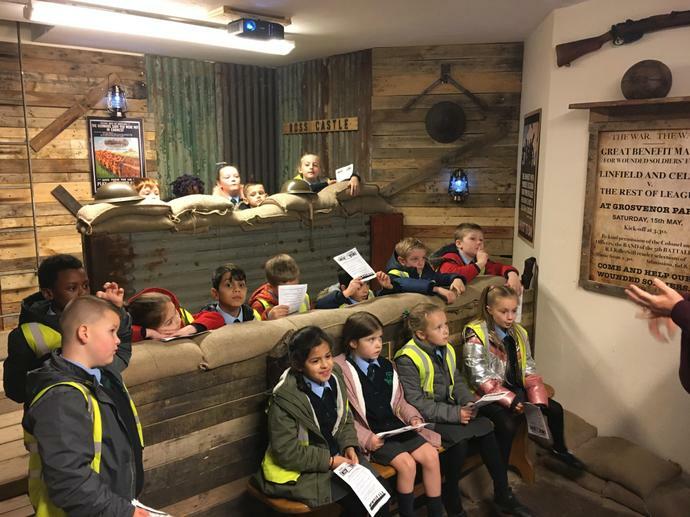 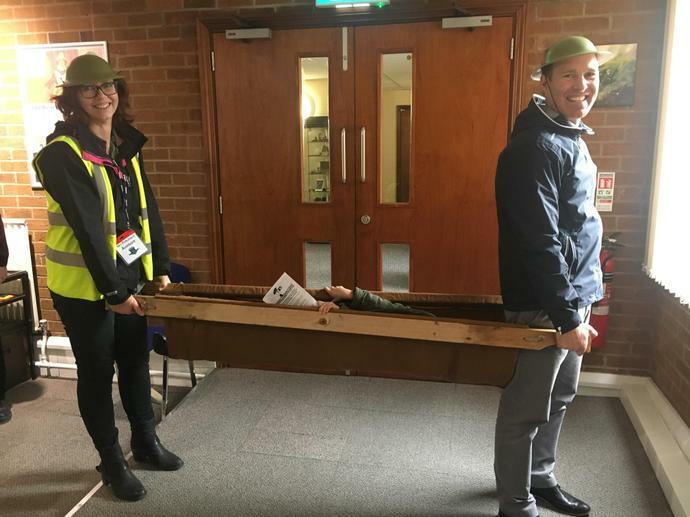 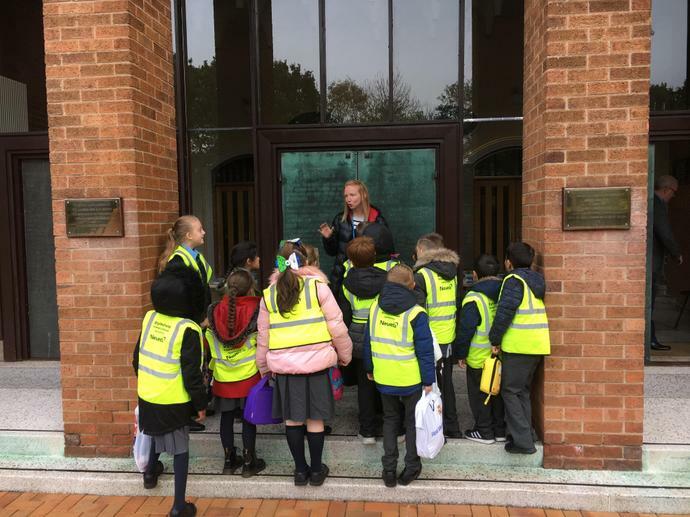 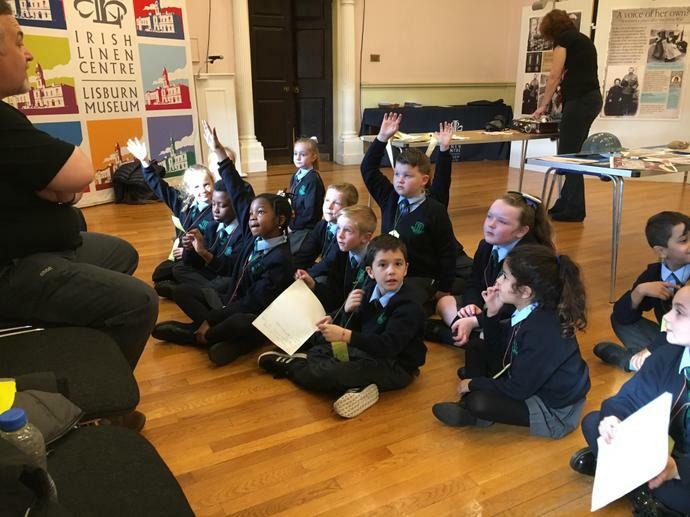 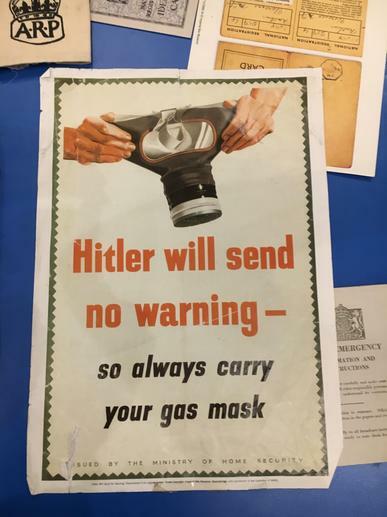 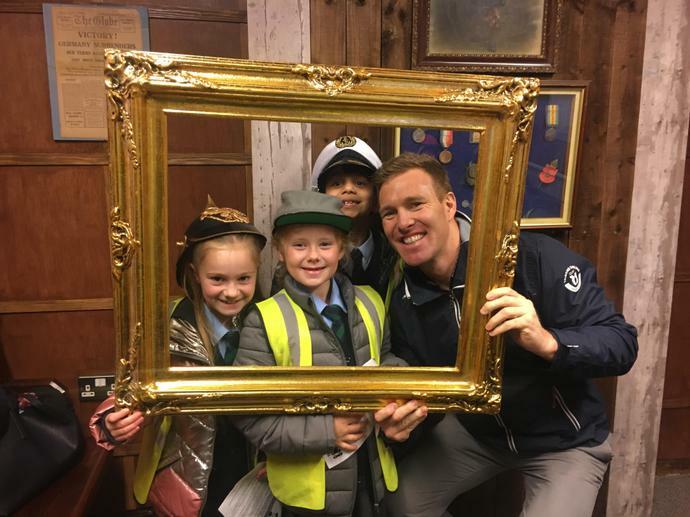 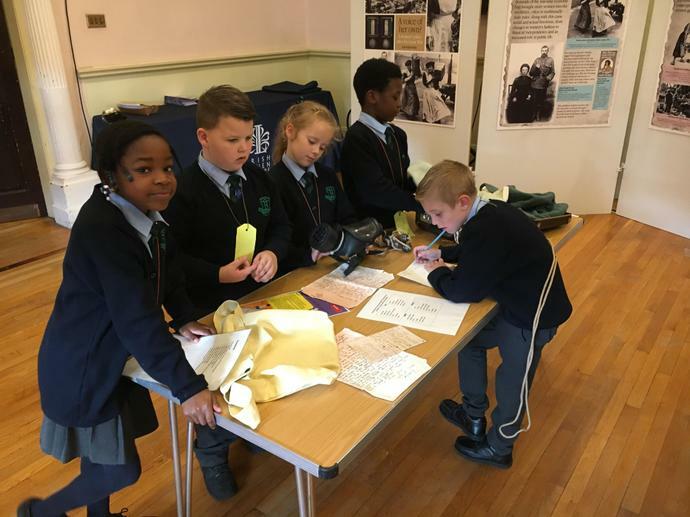 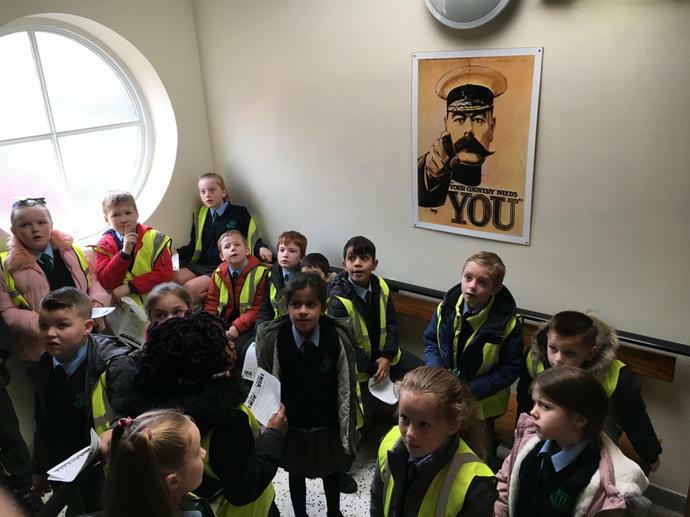 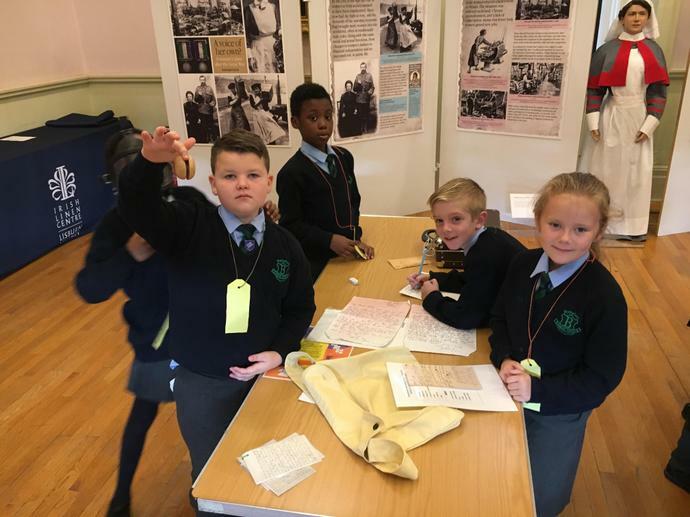 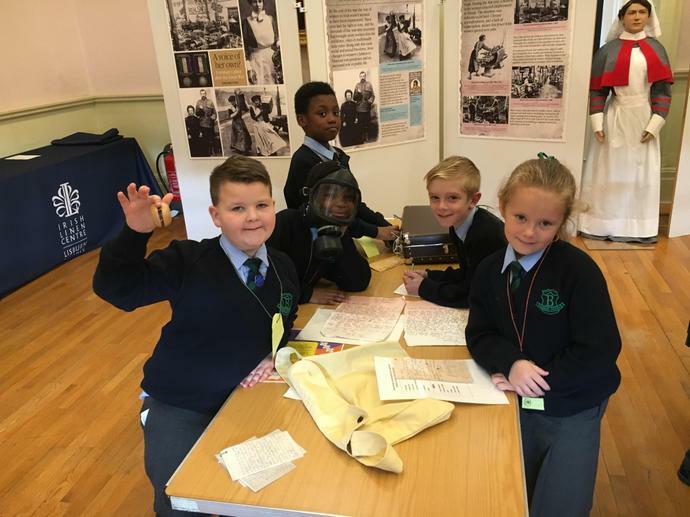 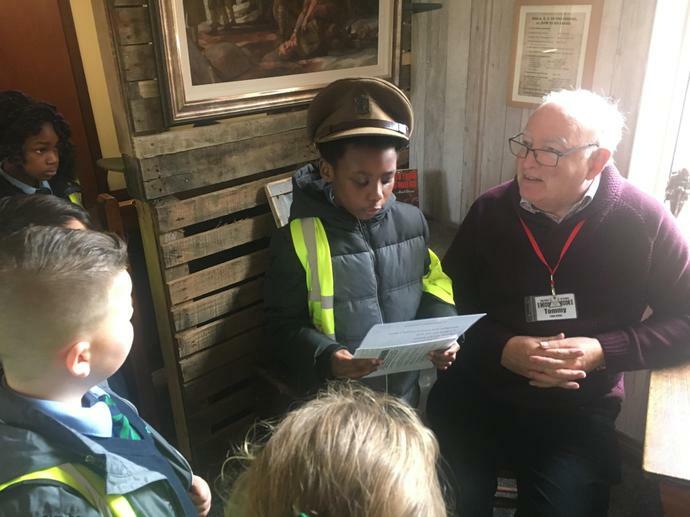 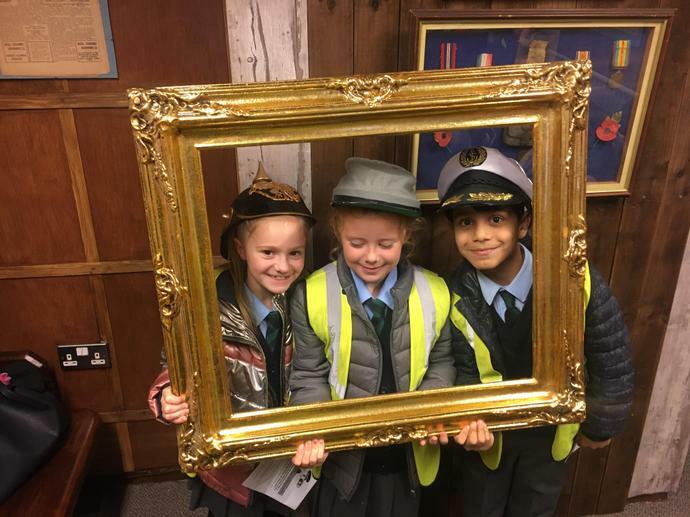 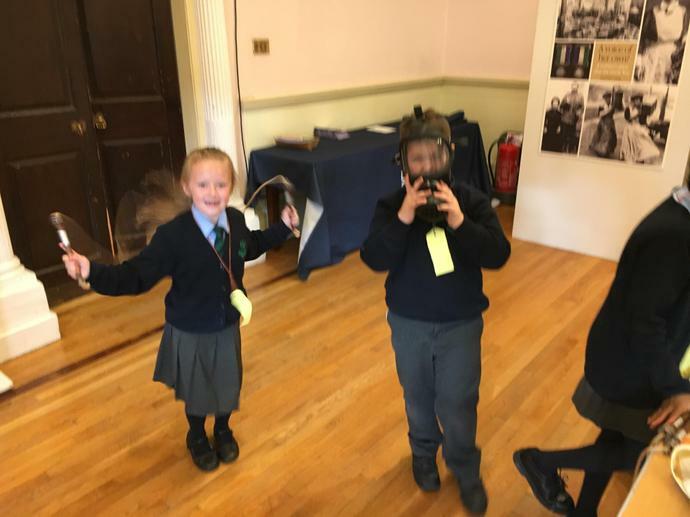 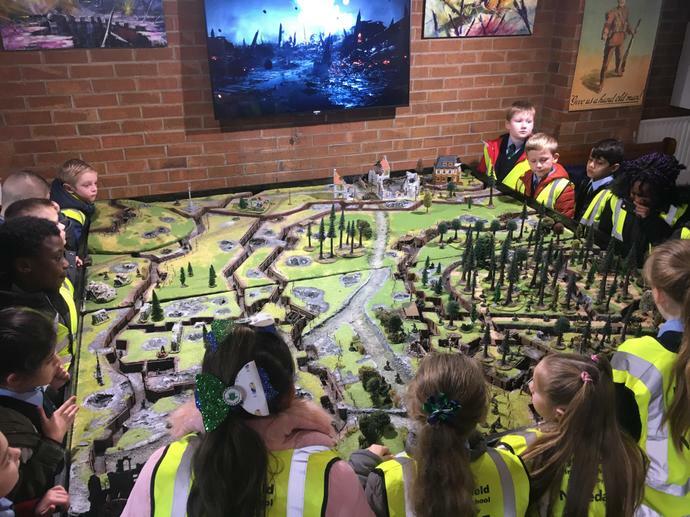 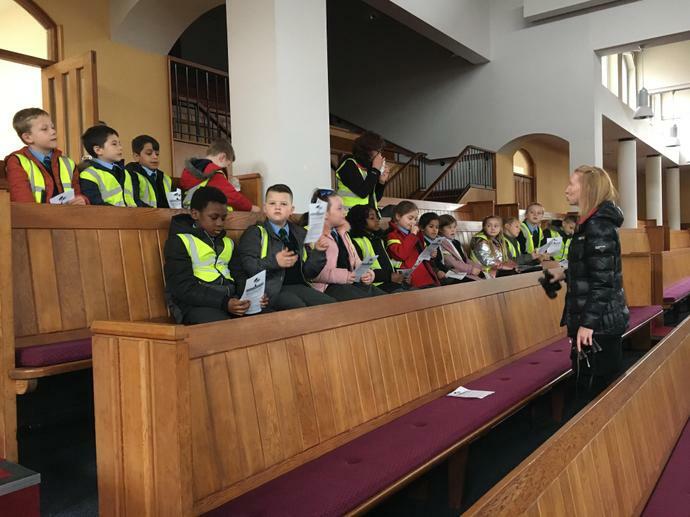 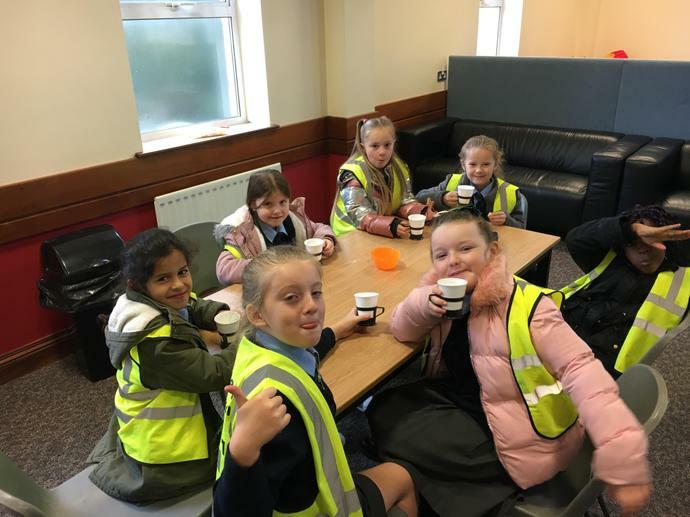 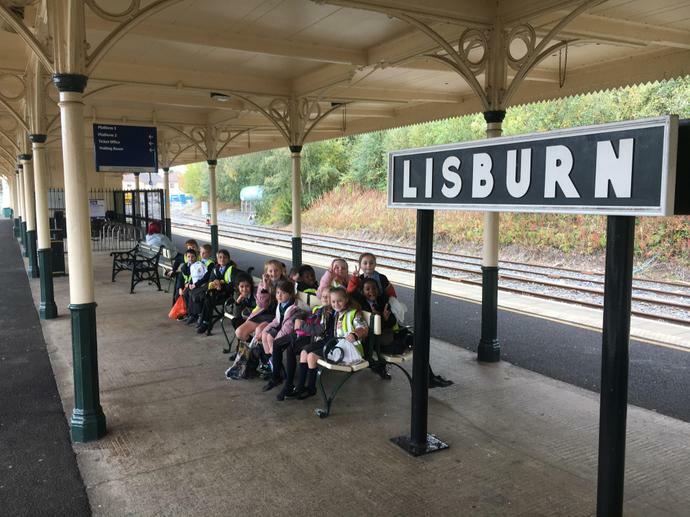 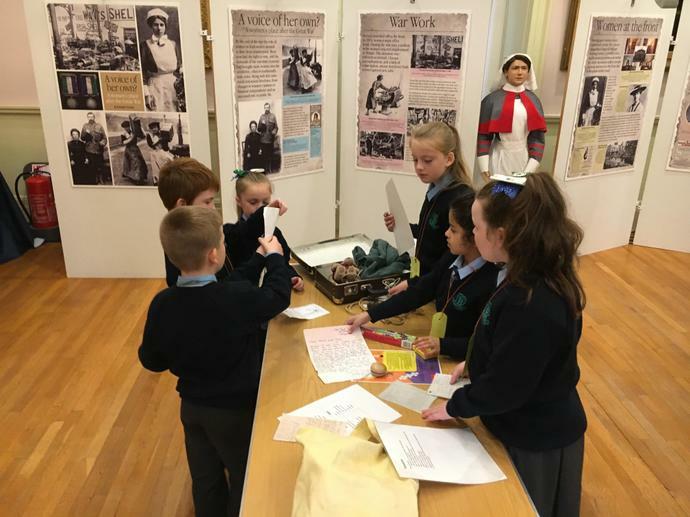 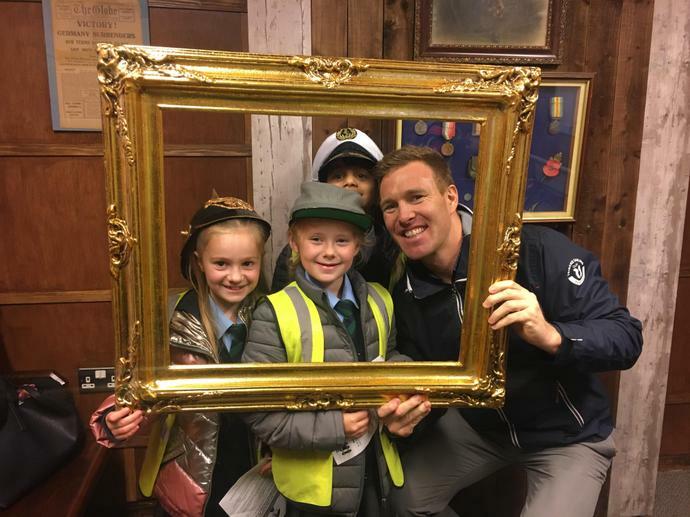 P4 traveled by train and visited the Lisburn Linen museum to Learn about World War 2. 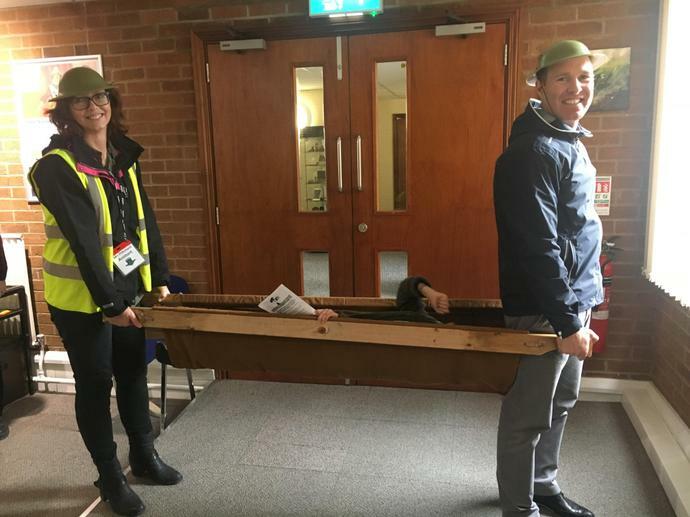 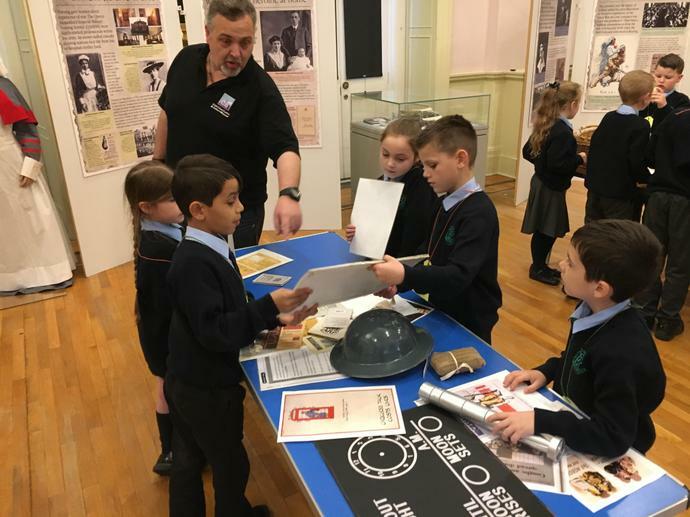 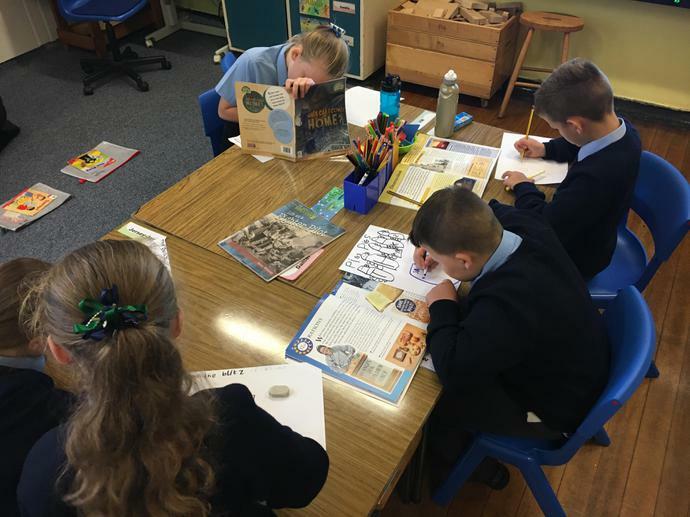 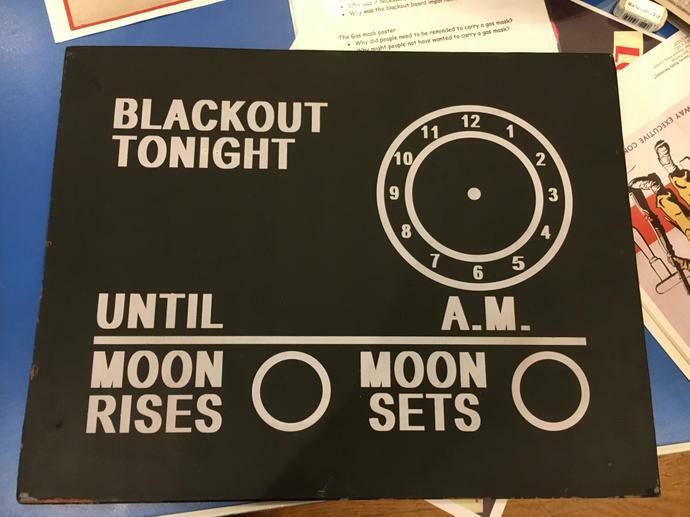 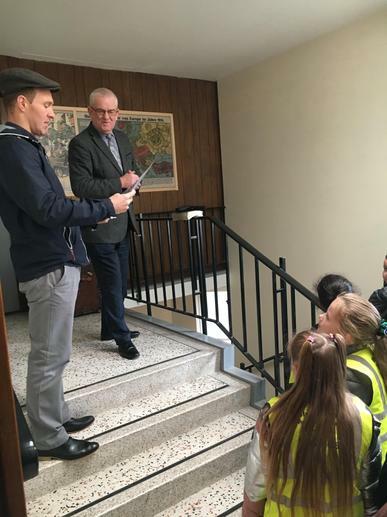 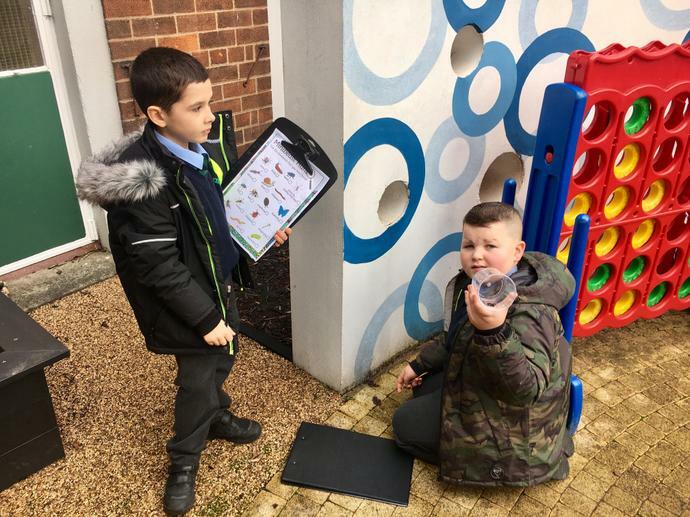 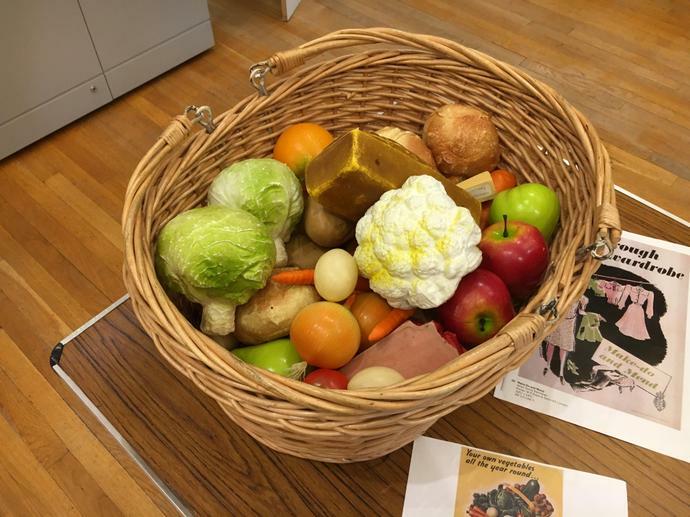 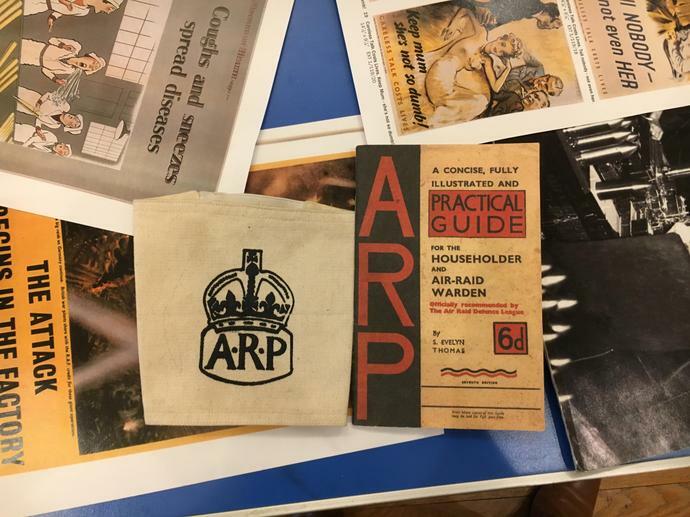 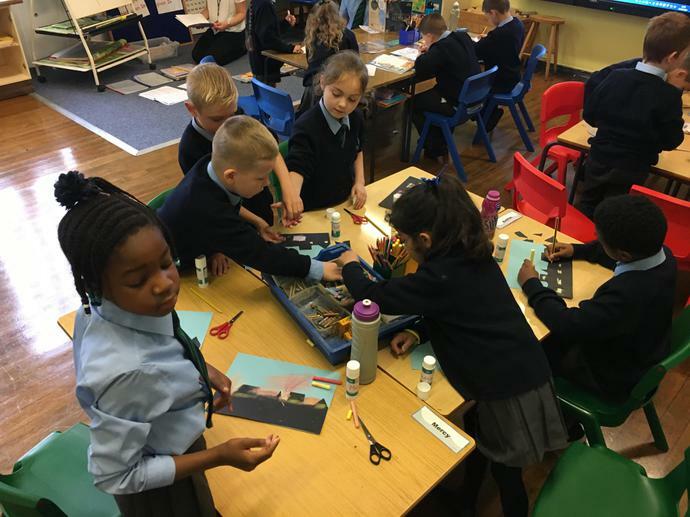 The pupils loved being detectives at each different work station learning about Rationing, Evacuation, The Home Front and the Blackout during WW2. 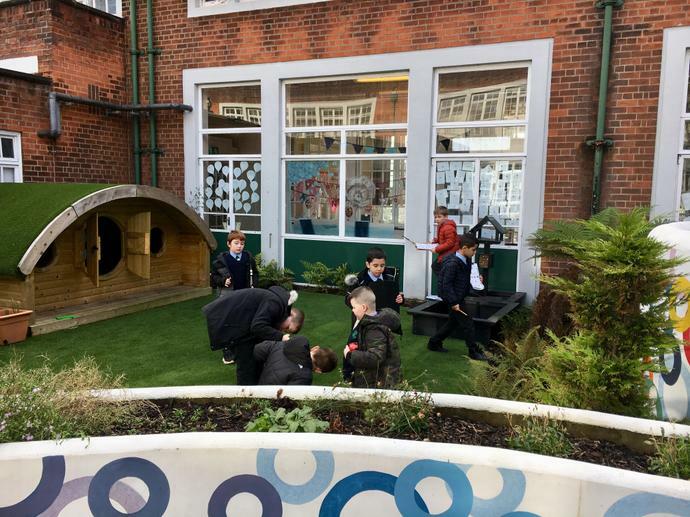 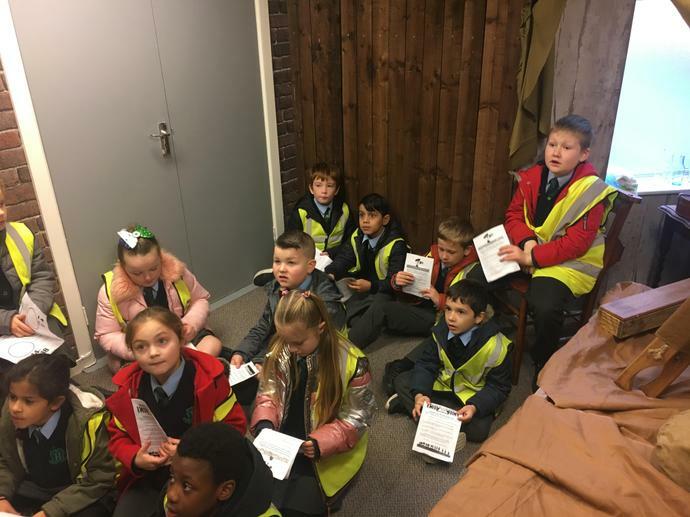 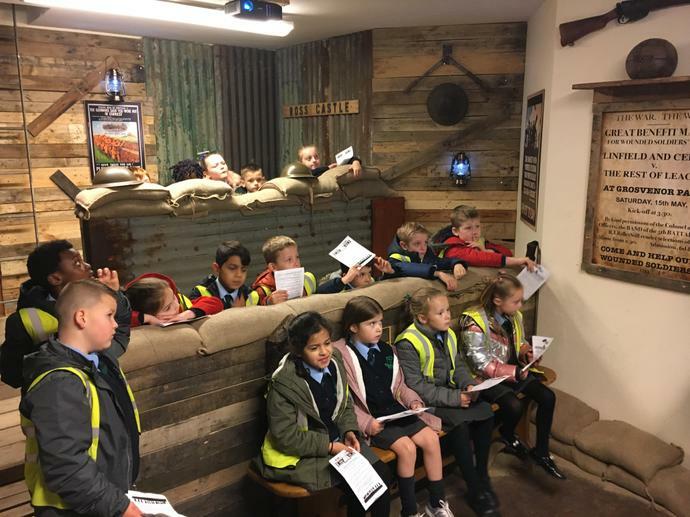 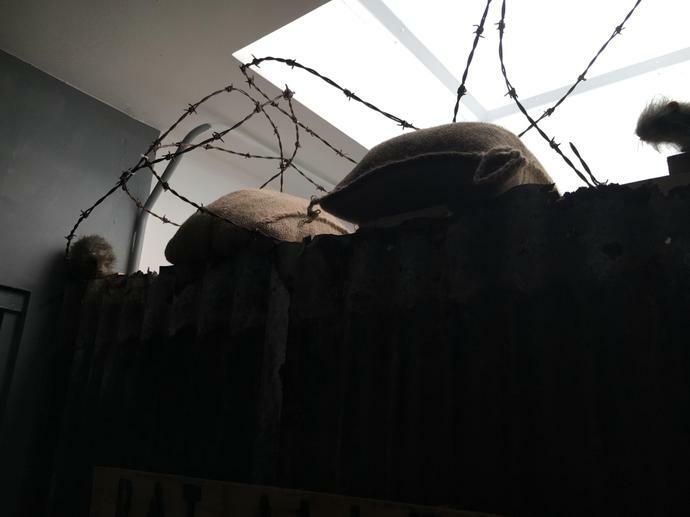 Visiting a real life air raid shelter was very fascinating for the pupils. 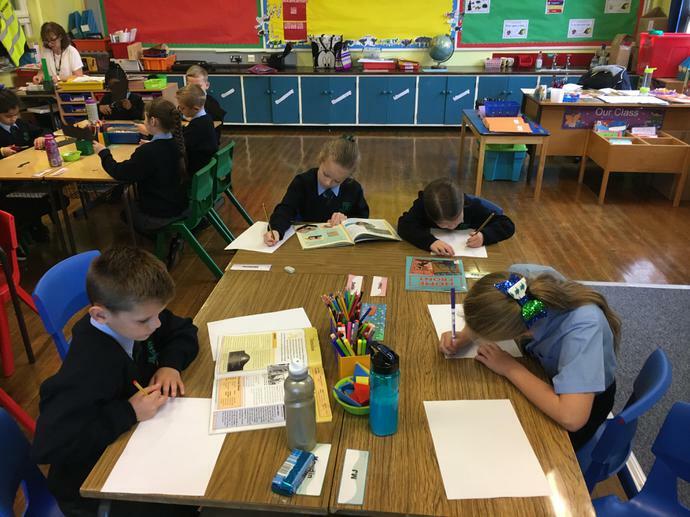 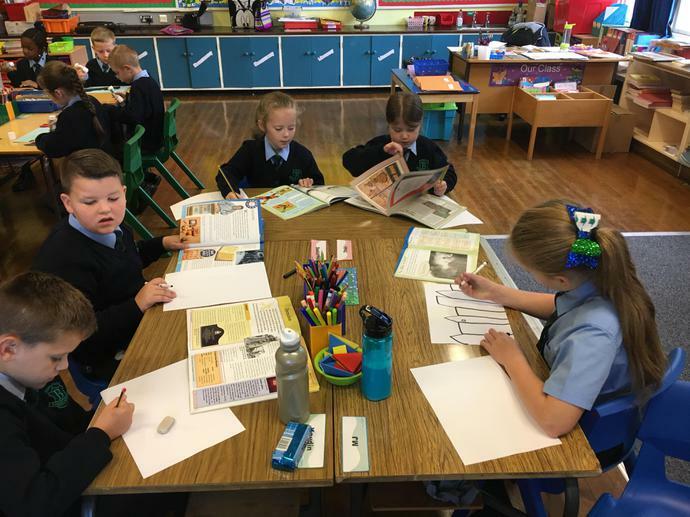 P4 are really loving learning about WW2.